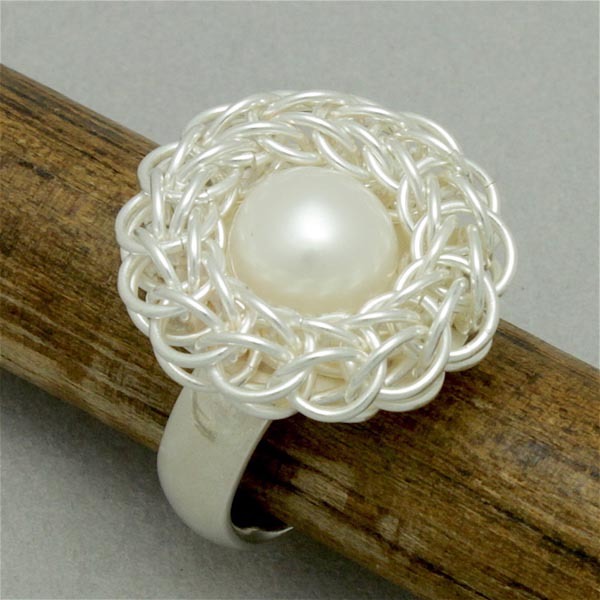 Click any thumbnail image to enlarge it. 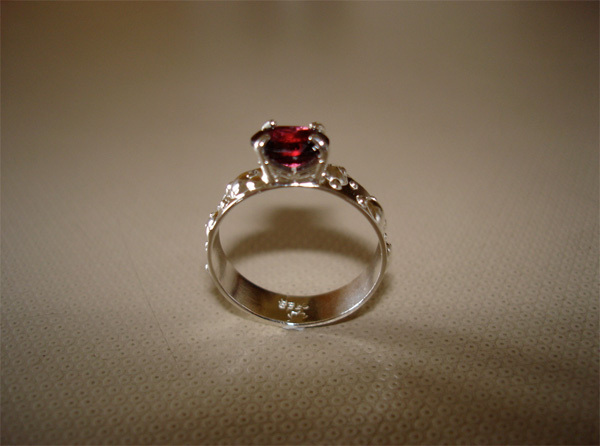 To close the image simply click it again. 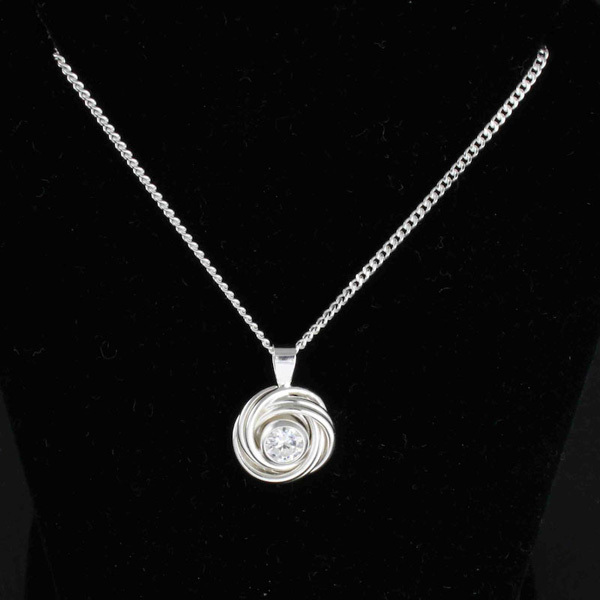 Hover your mouse over the enlarged image to display a slideshow toolbar. 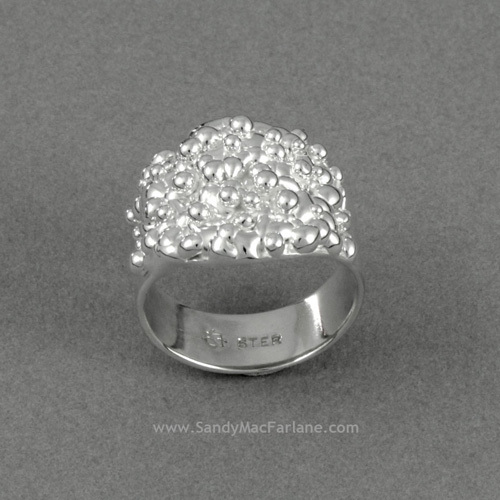 To view the images as an automated slideshow, click the "Play" button. 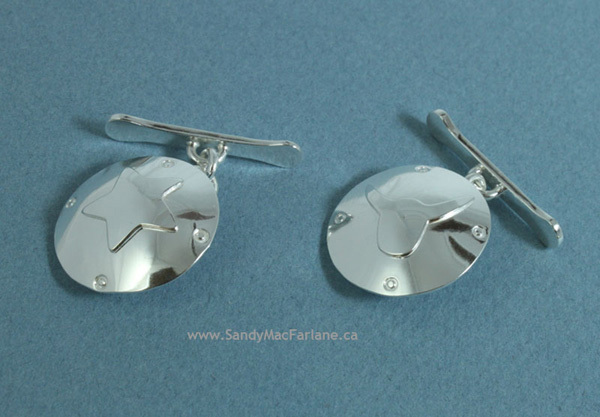 Use the forward and back arrows to click through the images manually. 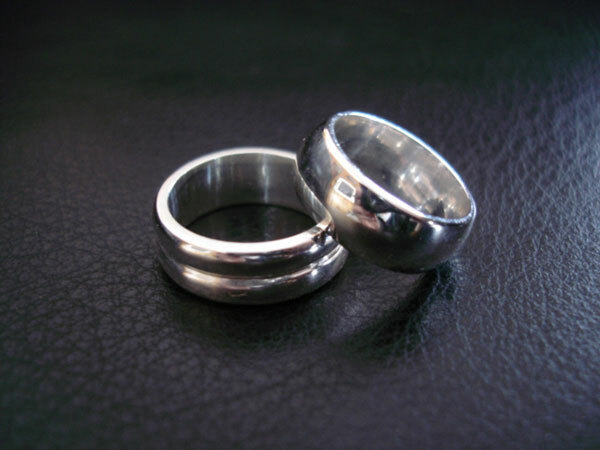 To end the slideshow at any point, click the "X" button. 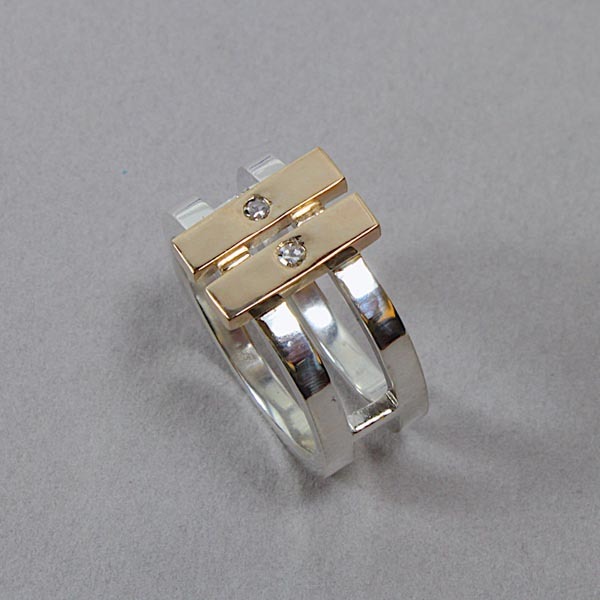 Diamonds set in 14K gold & sterling silver "Parallels" ring. 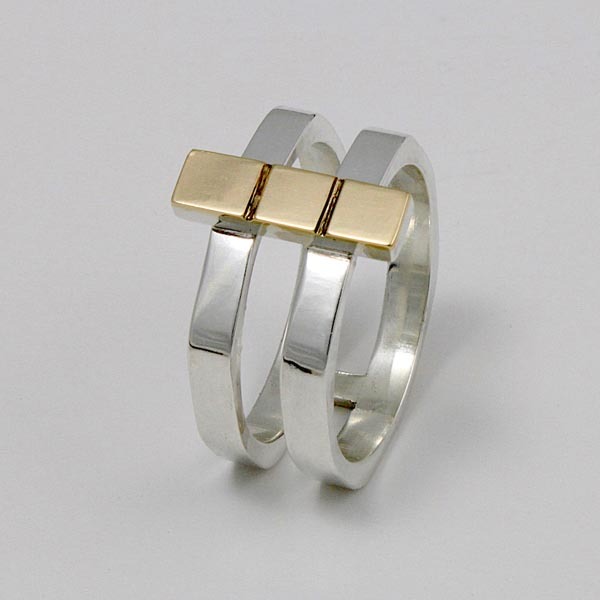 14K gold & sterling silver "Golden Parallels" ring. 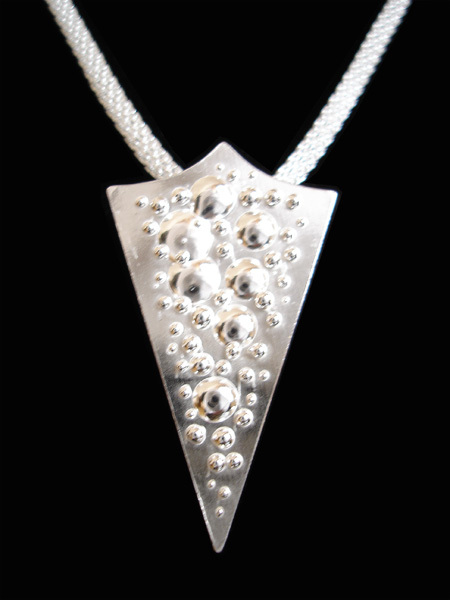 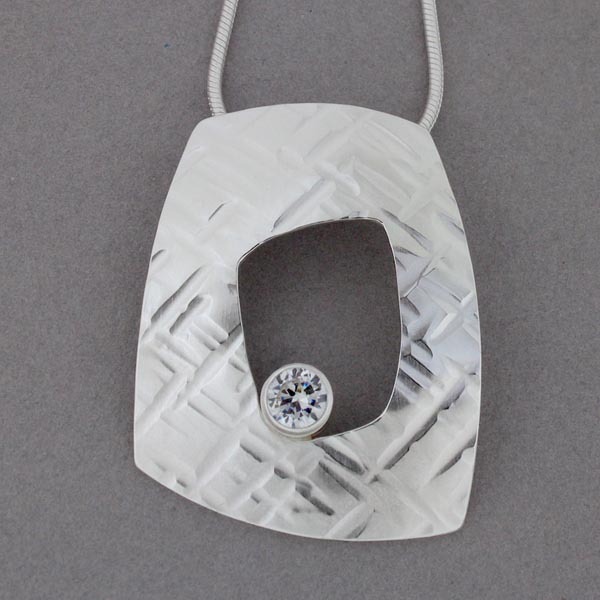 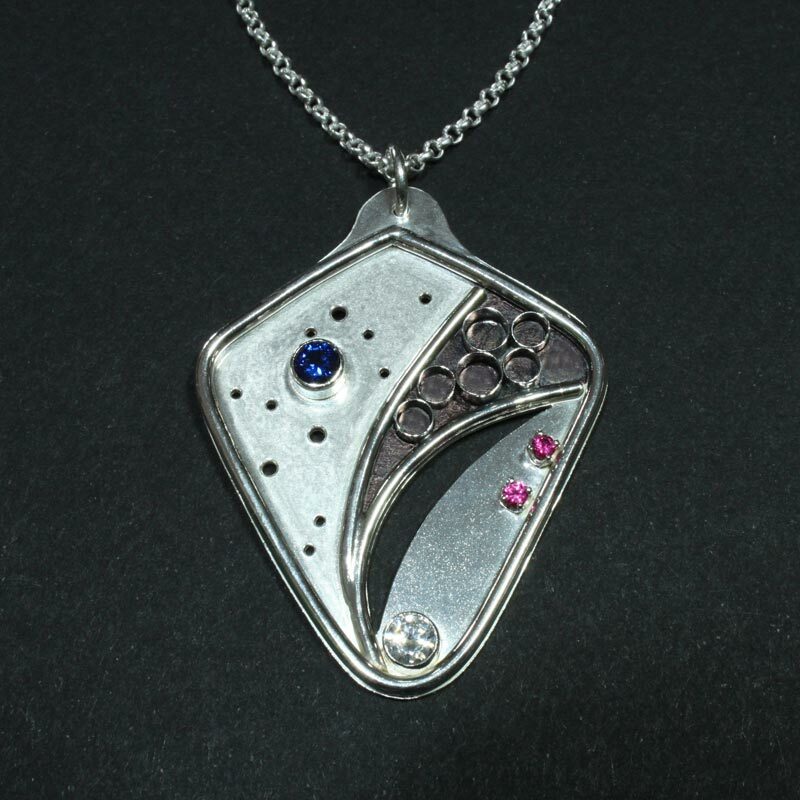 "Counterbalance" pendant: sterling silver & 5mm cubic zirconia. 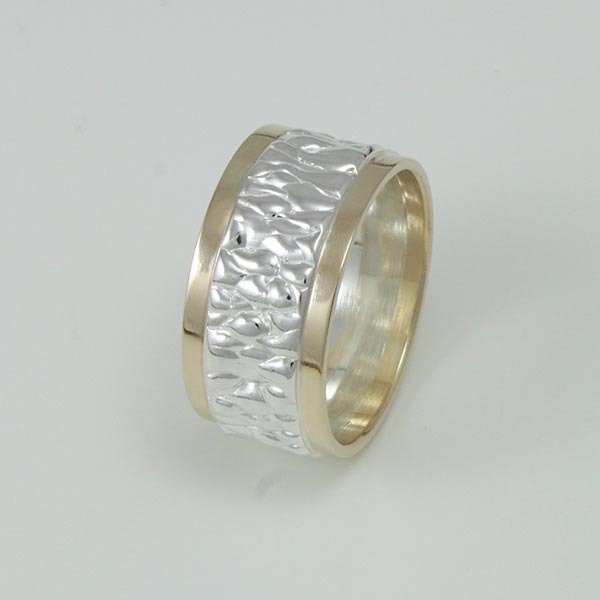 Gold accented "Flowing" ring: 14K gold & sterling silver. 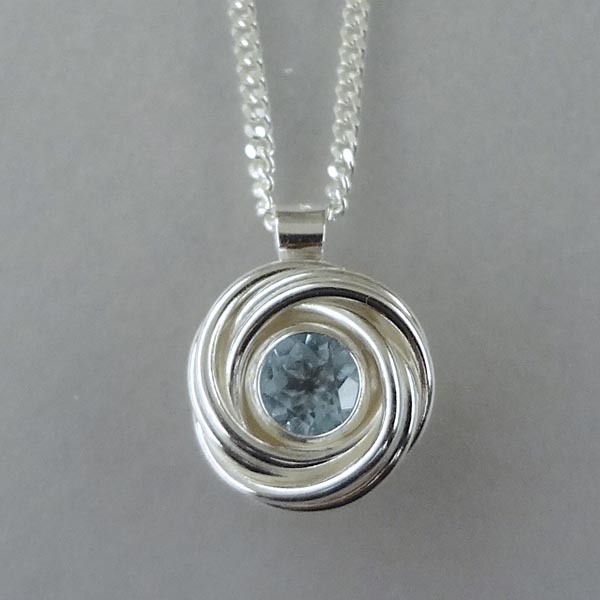 Double rosette pendant: sterling silver & 5mm aquamarine. 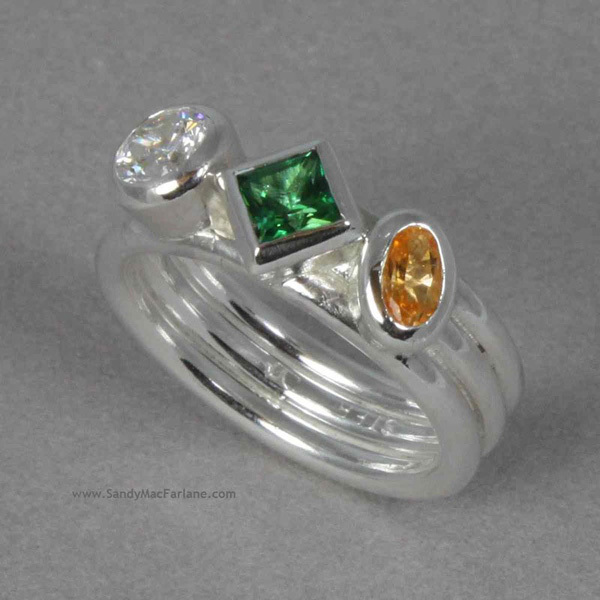 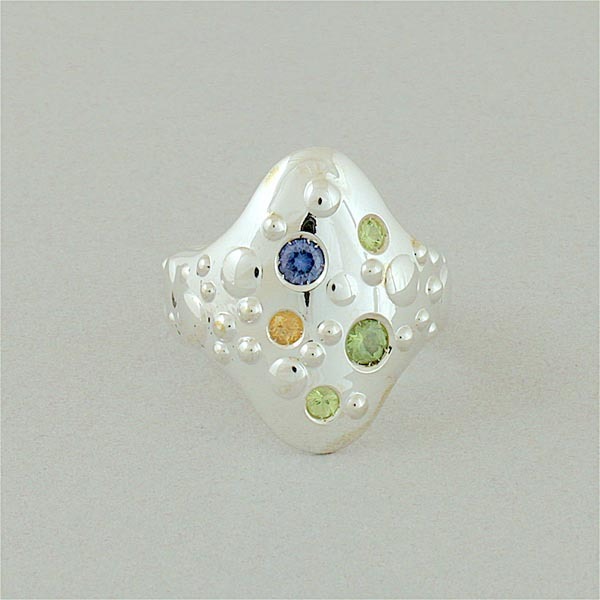 Family ring: sapphire, 3 peridots & Imperial topaz set in sterling silver "Celestial" ring. 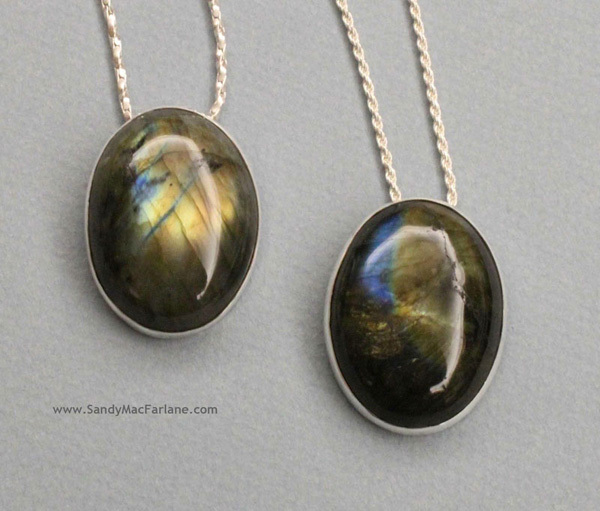 Labradorite cabochon with sterling silver setting. 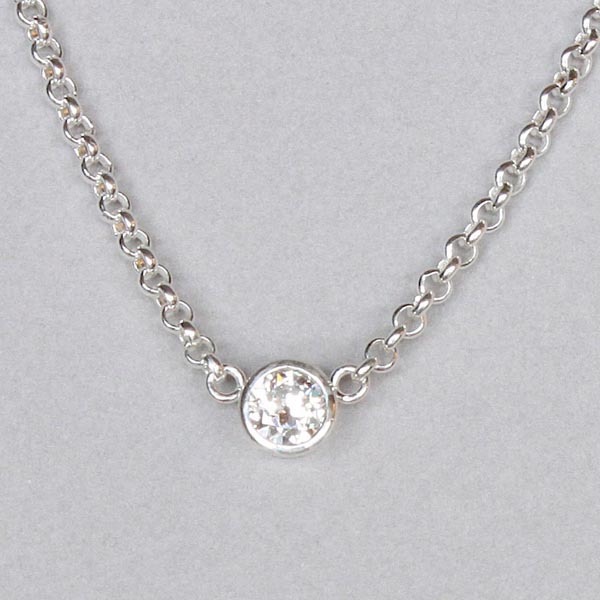 5mm cubic zirconia solitaire set in sterling silver on rolo chain. 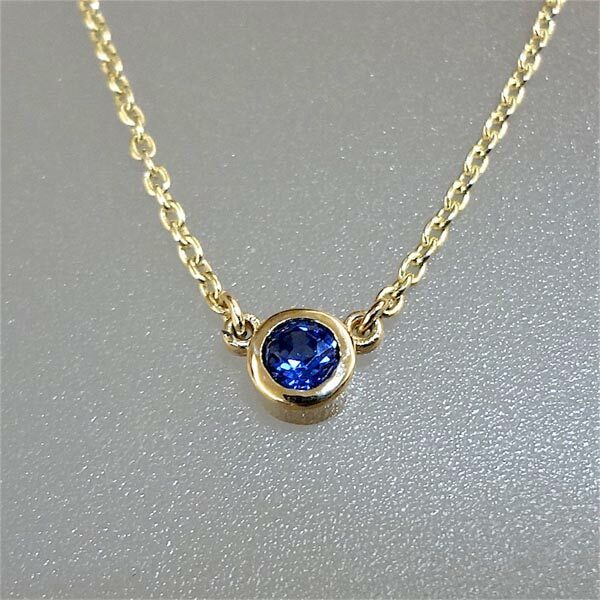 4mm sapphire solitaire set in 14K gold on 14K gold cable chain. 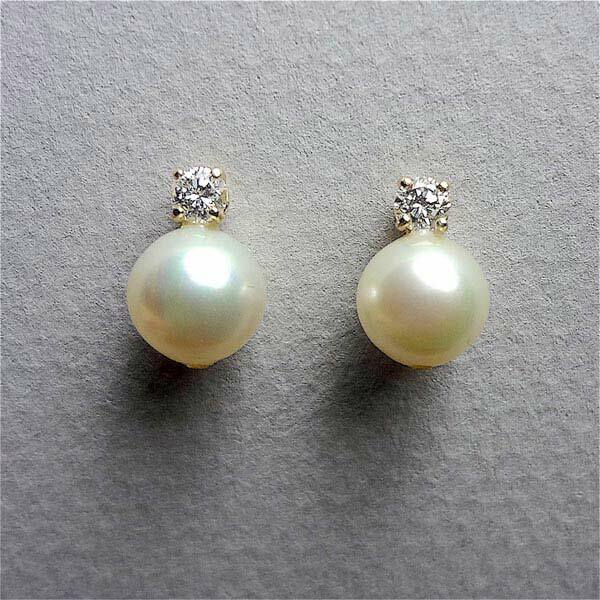 Diamond & pearl earrings: 3mm diamonds & 10mm pearls set on 14K earring posts. 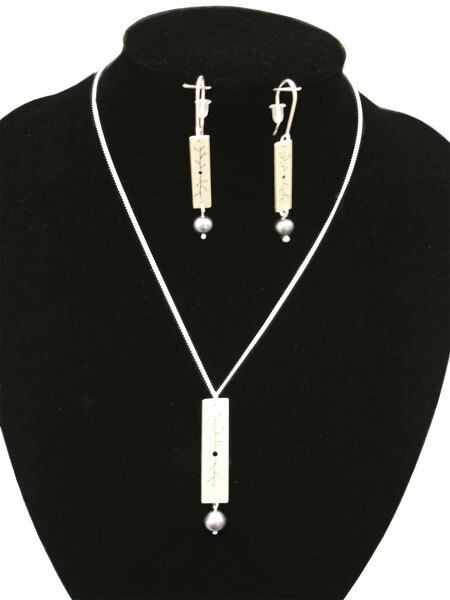 Sliding freshwater pearls & sterling silver bead necklace. 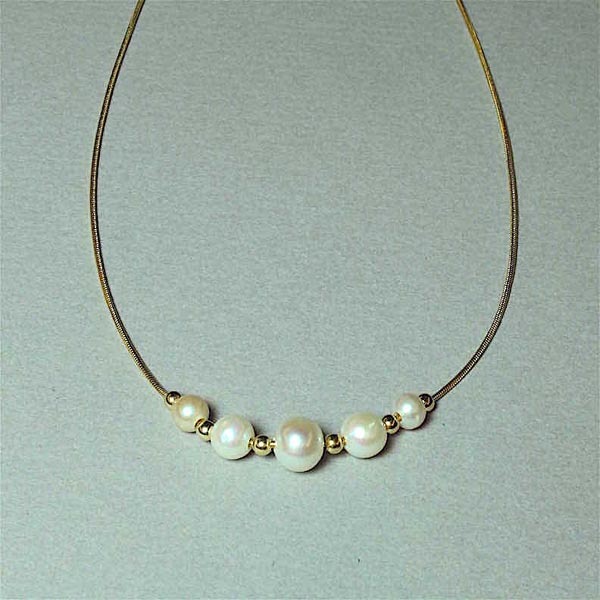 Sliding freshwater pearls & 14K gold-filled bead necklace. 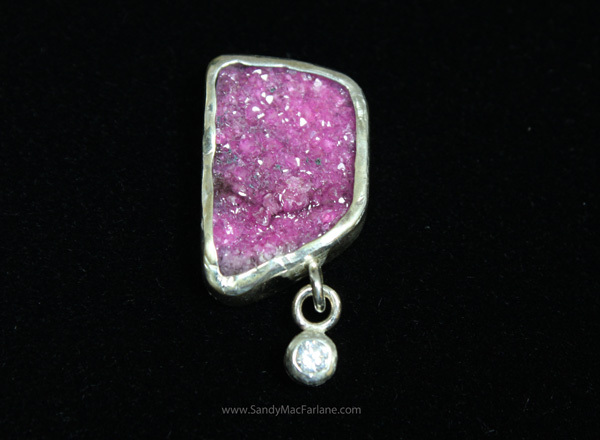 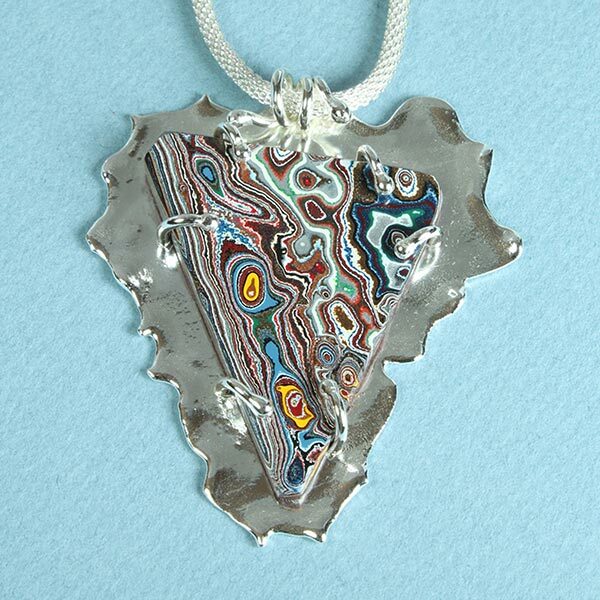 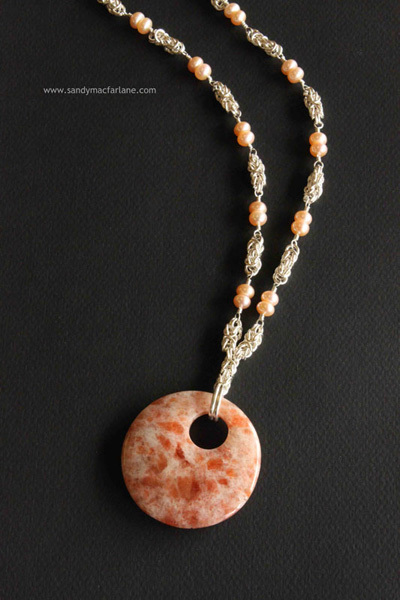 "Passage of Time" pendant: coral cast in sterling silver. 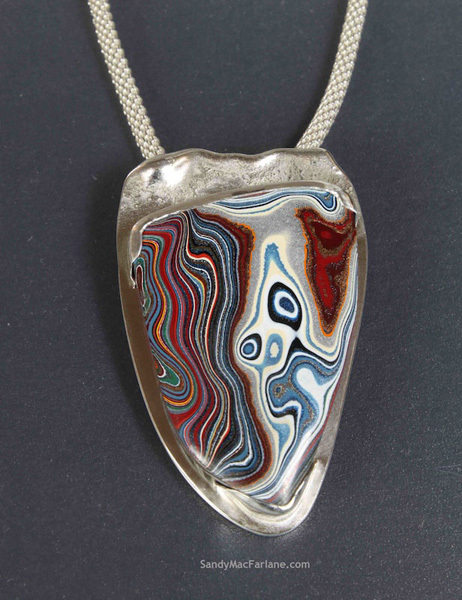 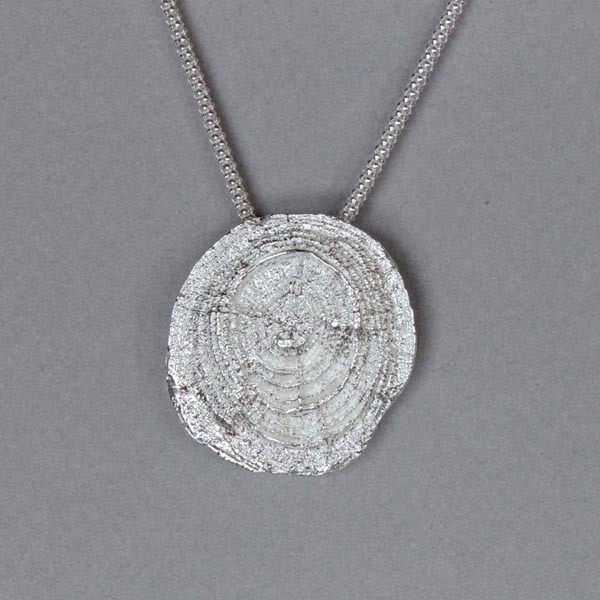 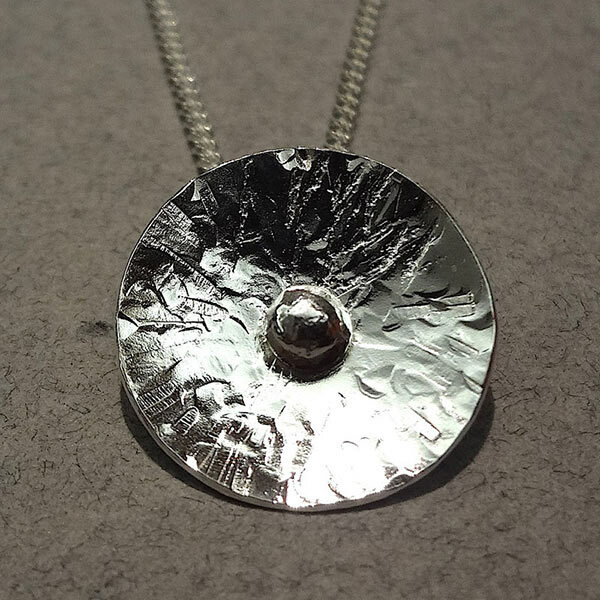 "Passage of Time" pendant: growth rings cast in sterling silver. 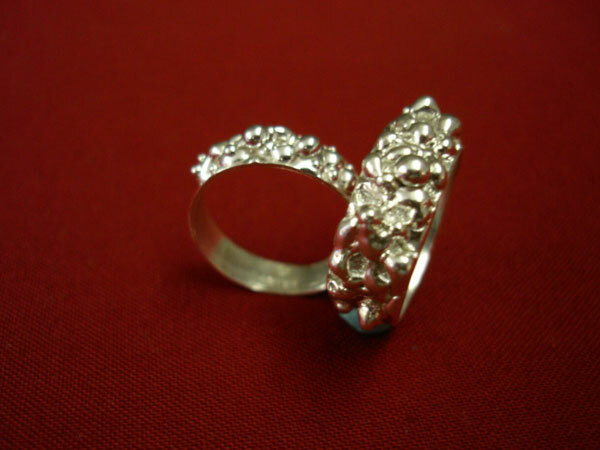 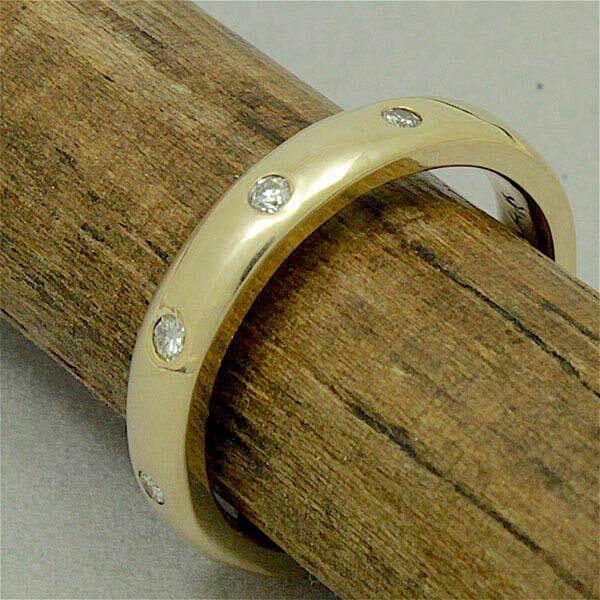 Diamond wedding ring: 9 diamonds set evenly around 14K gold 3.5mm comfort fit ring shank. 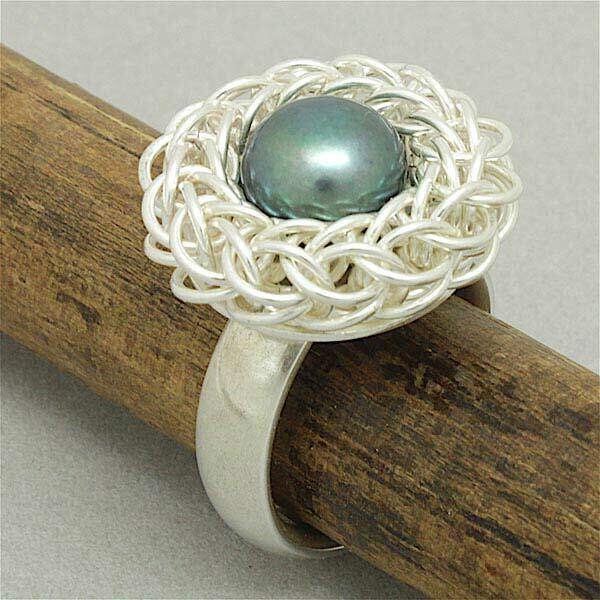 Foxtail ring: Peacock freshwater pearl & sterling silver. 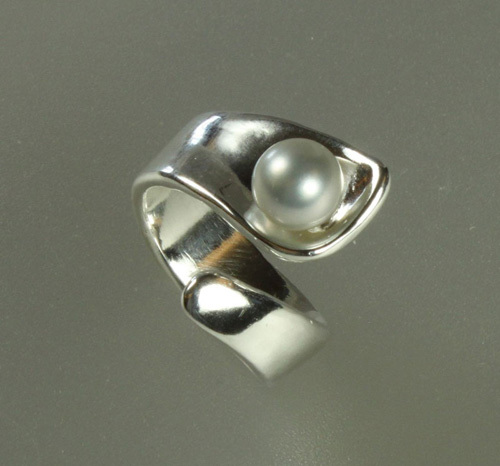 Foxtail ring: White freshwater pearl & sterling silver. 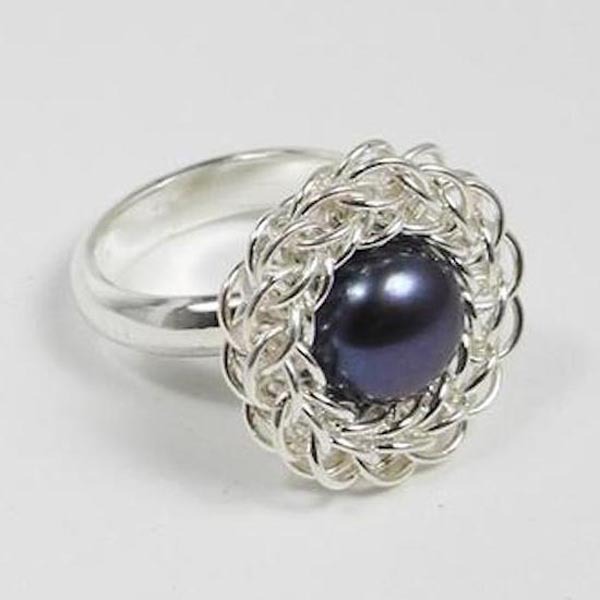 Foxtail ring: Navy freshwater pearl & sterling silver. 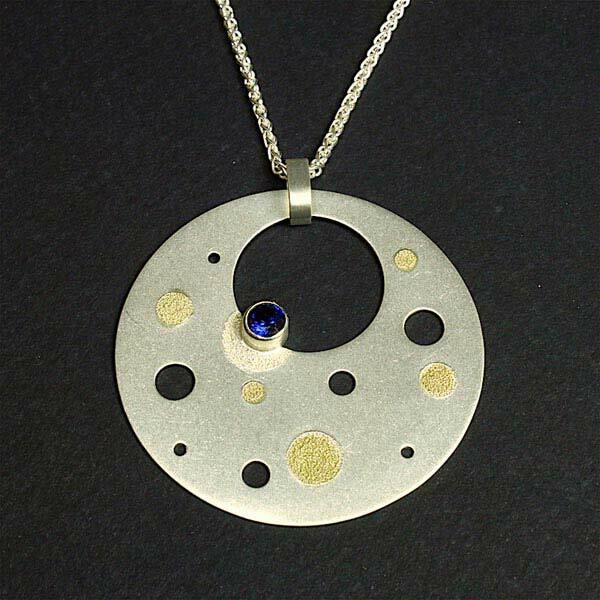 "Star Bright" - sterling silver & 14K gold with 5mm facetted sapphire (imit). 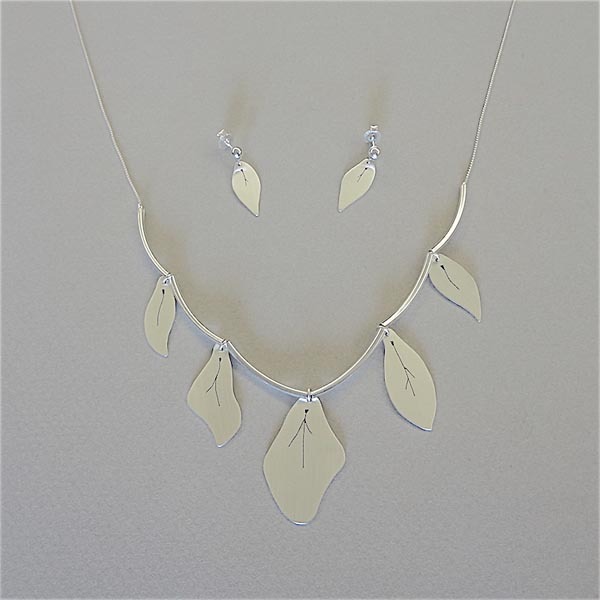 "Spring Re-Leaf is Here" pendant & earrings: sterling silver. 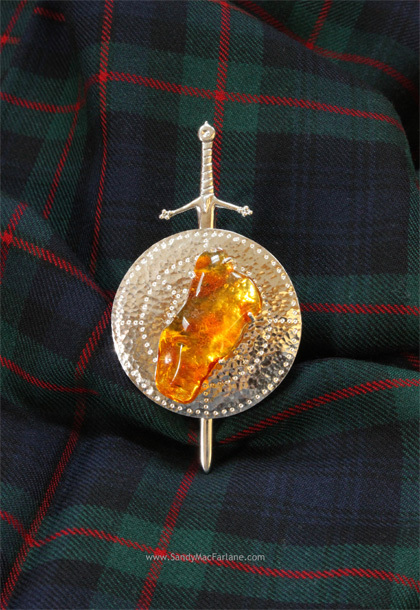 Amber & Sterling Silver Kilt Pin. 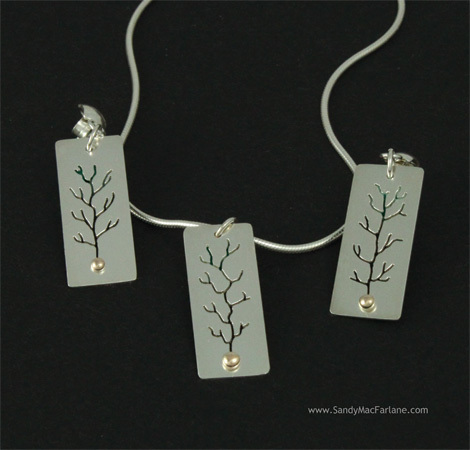 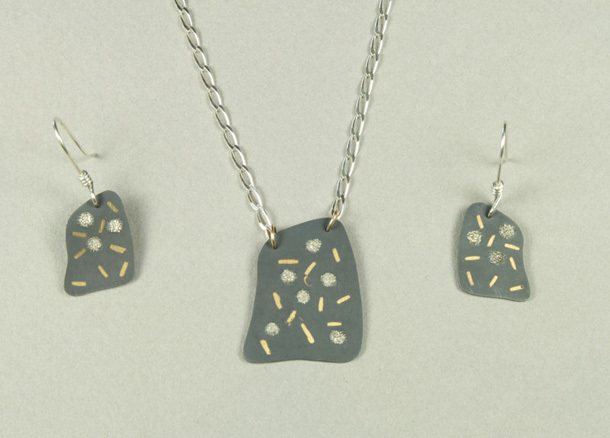 "Golden Seeds" Sterling Silver & 10K Gold pendant & earrings. 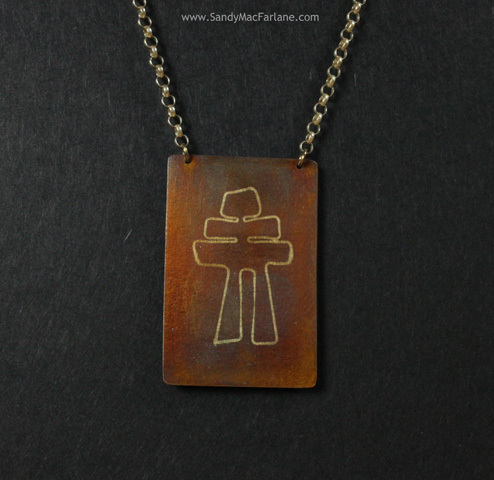 Inuksuk, 14K Gold on Patinated Sterling Silver. 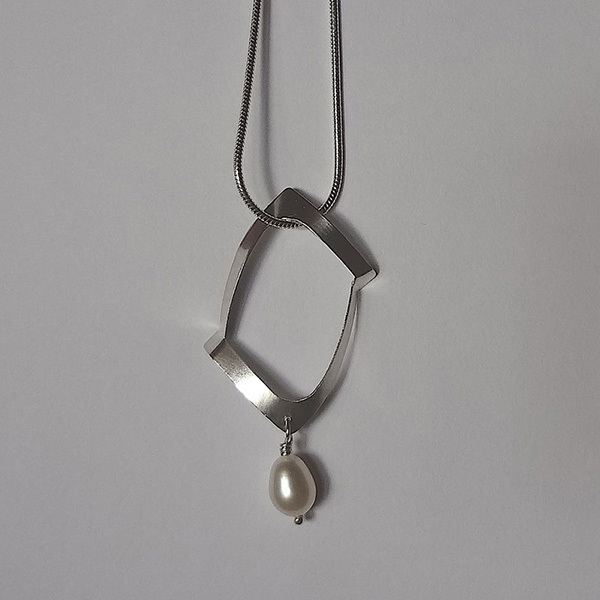 Rosette & Pearl Pendant, Sterling Silver & freshwater pearl. 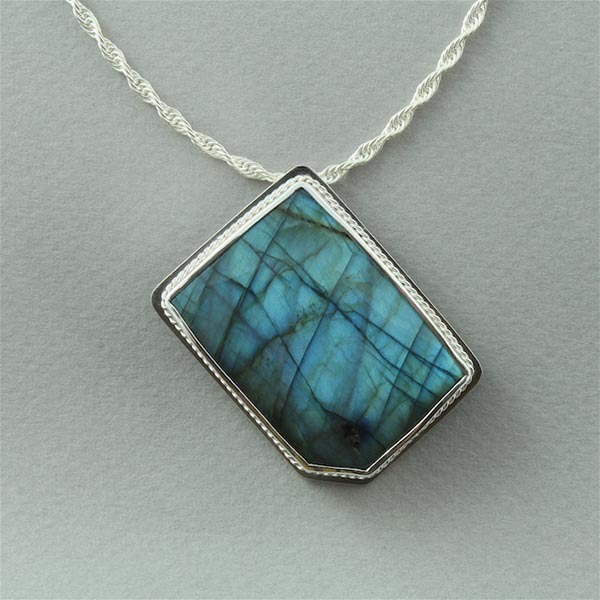 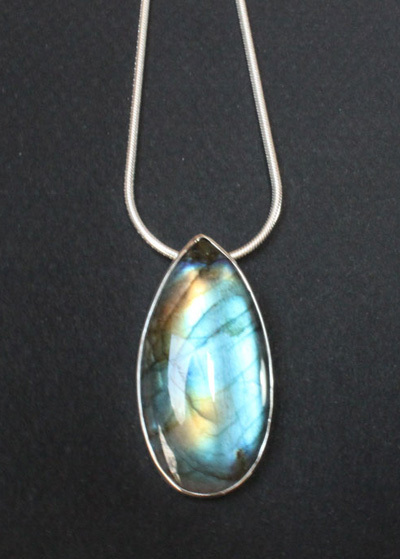 Labradorite & Sterling Silver Pendant. 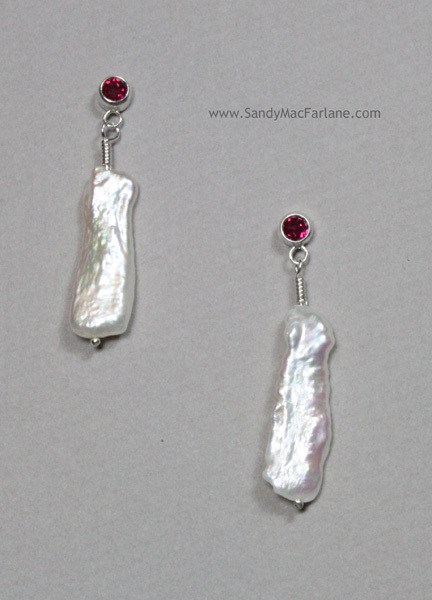 Ruby & Baroque Pearl earrings. 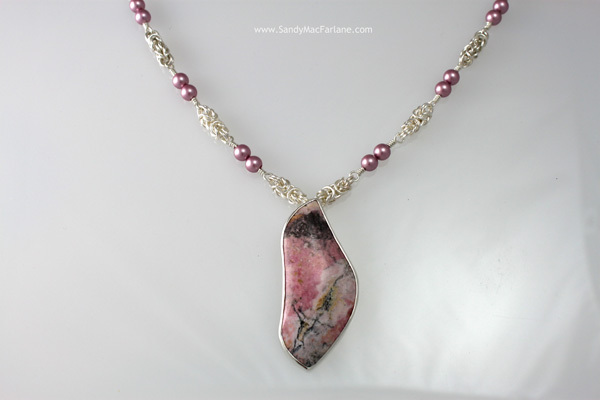 Rhodonite, Sterling Silver & Swarovski Pearl necklace. 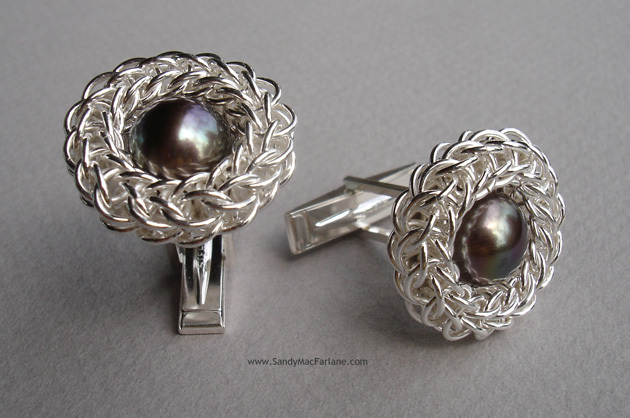 Foxtail Cufflinks, Sterling Silver & freshwater pearls. 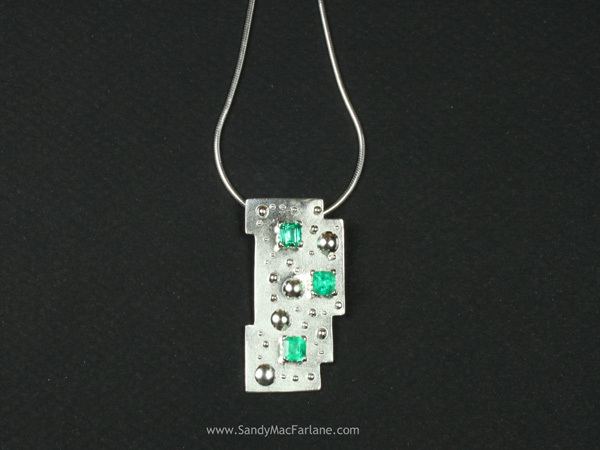 Emerald & Sterling Silver Bubble Pendant. 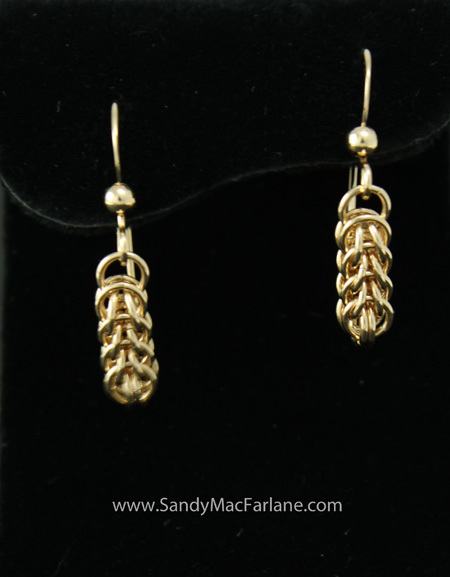 "Foxtail" earrings - 14K YGF. 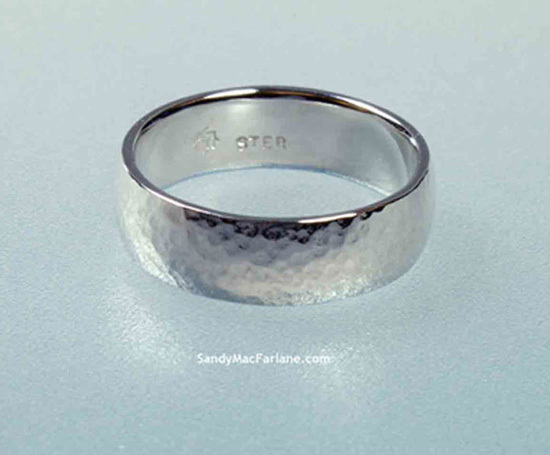 Forged wedding band - Sterling Silver. 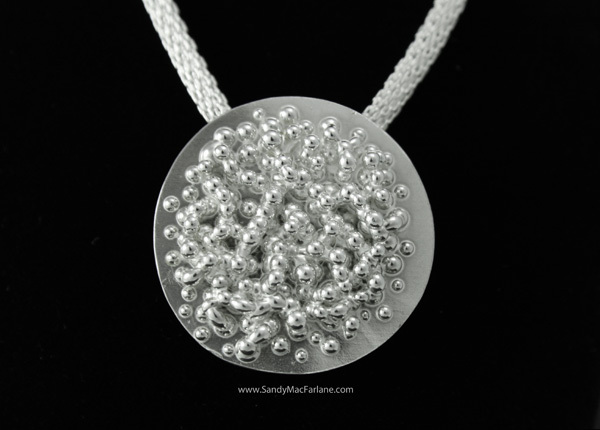 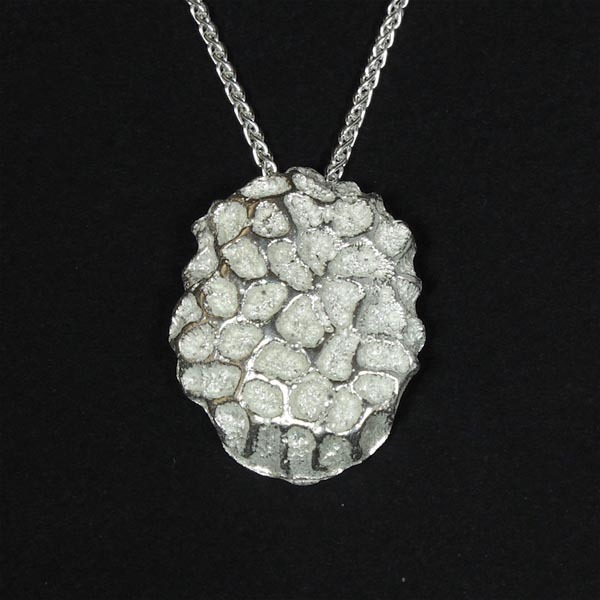 Sterling Silver Pendant - Bubbles on mesh chain. 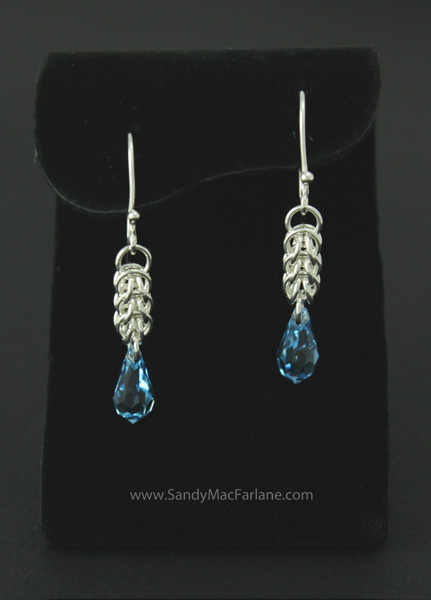 "Foxtail" earrings - Sterling Silver & Swarovski® crystal drops. 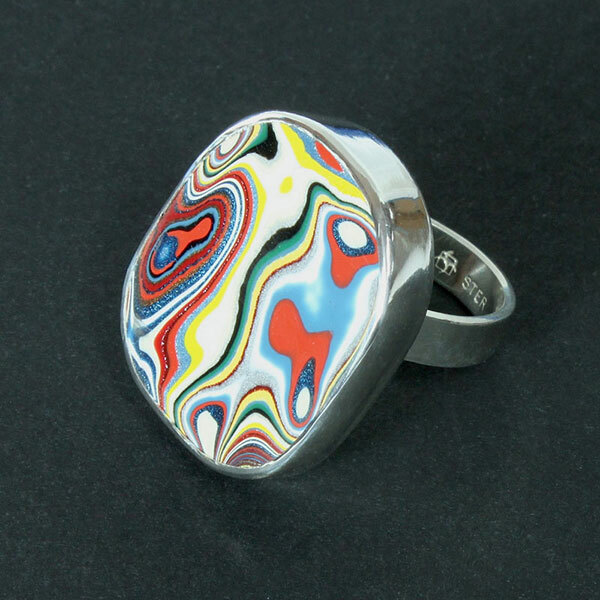 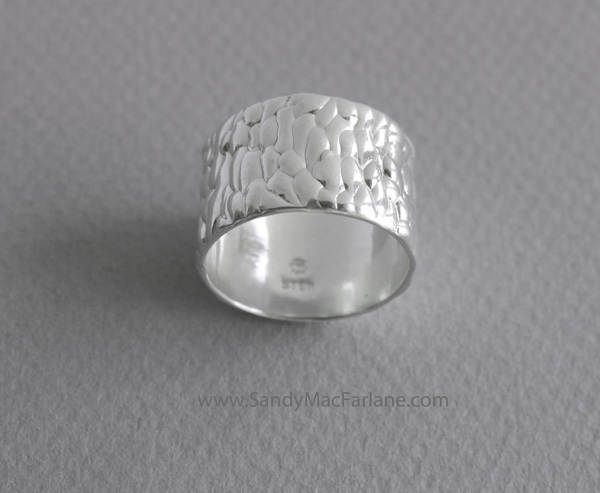 "Flowing" ring - sterling silver. 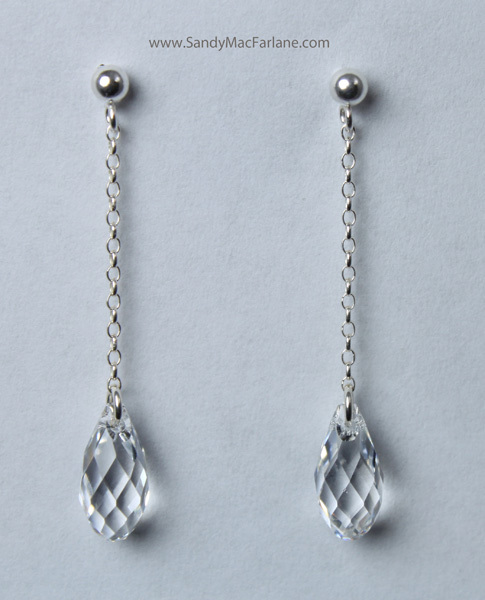 "Icicle" earrings - Sterling Silver & Swarovski® crystal drops. 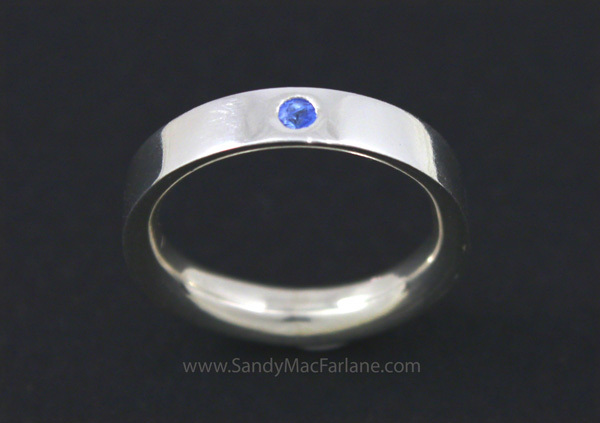 Blue Sapphire & Sterling Silver ring. 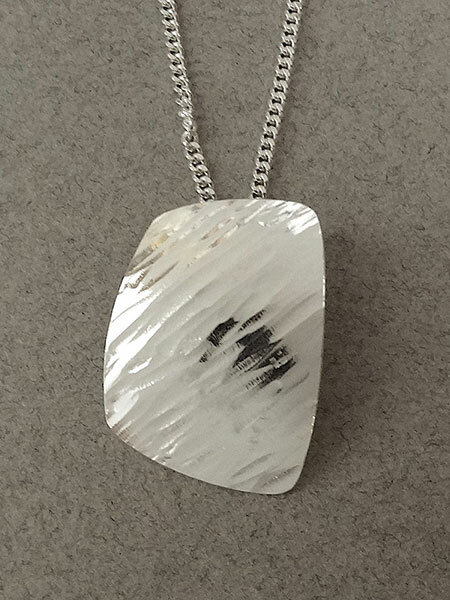 Cobalto Calcite, Cubic Zirconia & Sterling Silver. 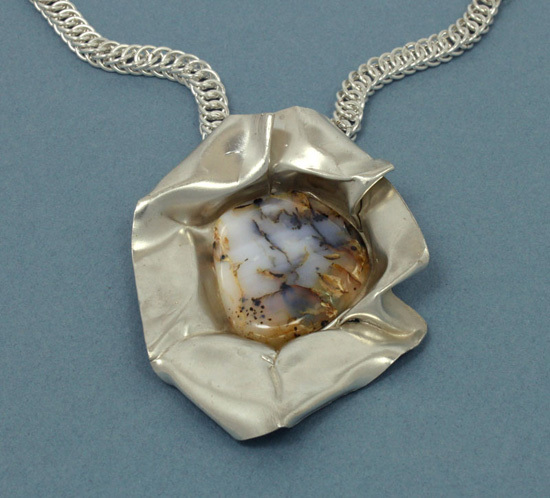 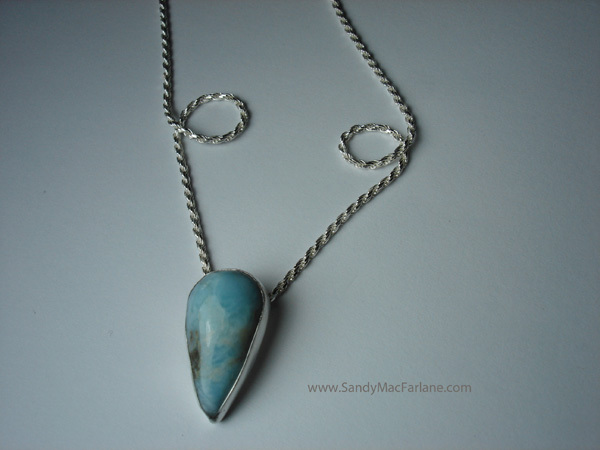 Larimar & Sterling Silver pendant. 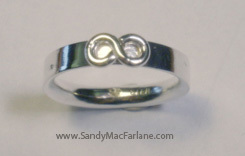 Infinity ring - Sterling Silver. 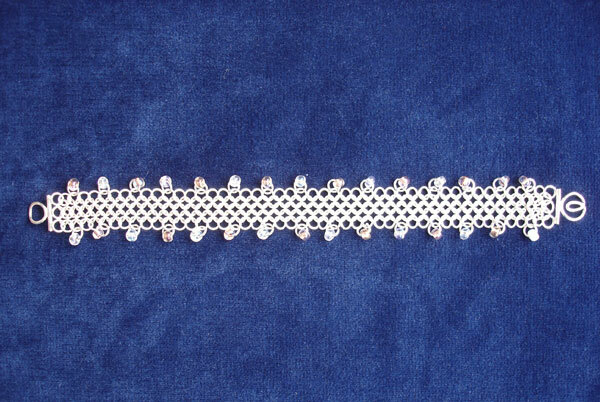 Japanese Lace Bracelet - 14K YGF and Sterling Silver. 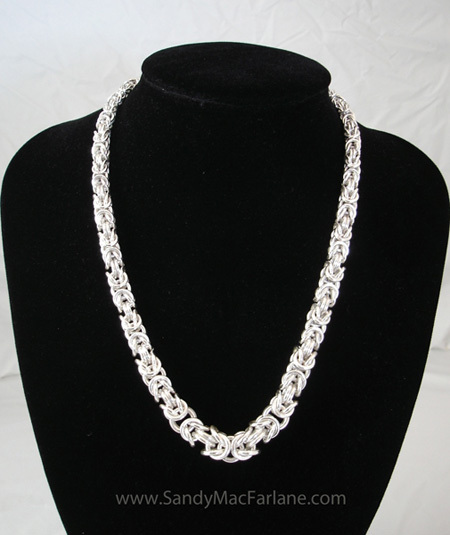 Graduated Byzantine Necklace - Sterling Silver. 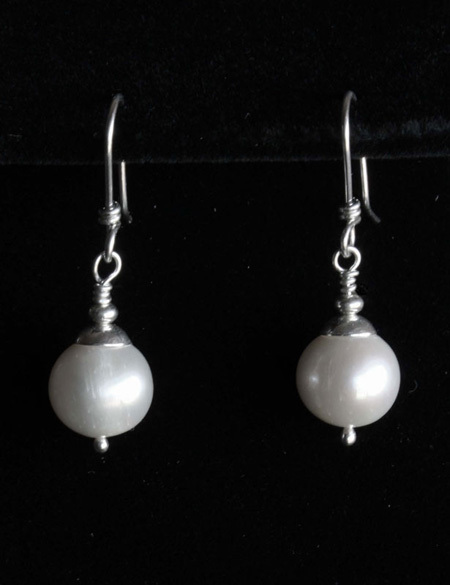 Peach Freshwater Pearls and Sterling Silver earrings. 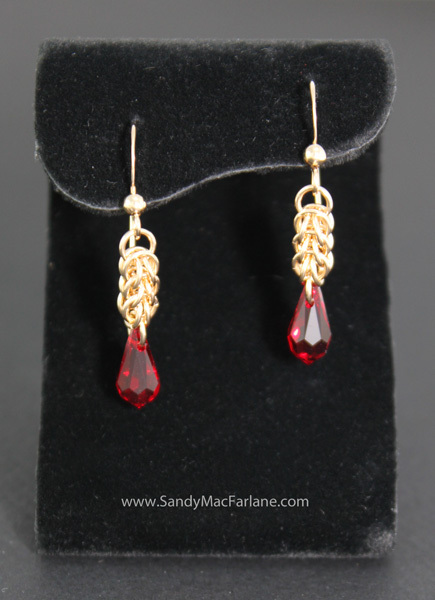 "Foxtail" earrings - 14K YGF & Swarovski® crystal drops. 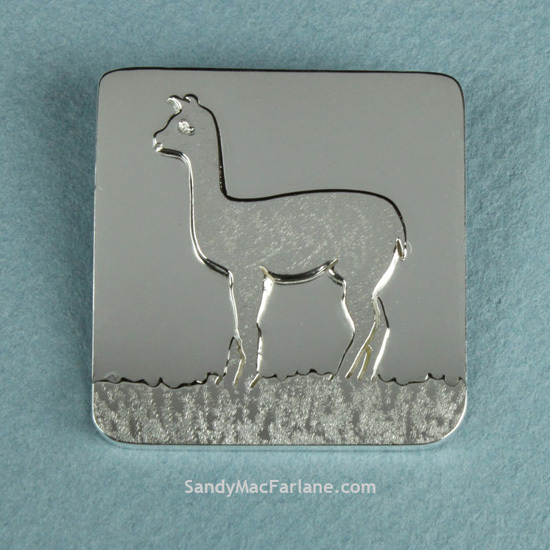 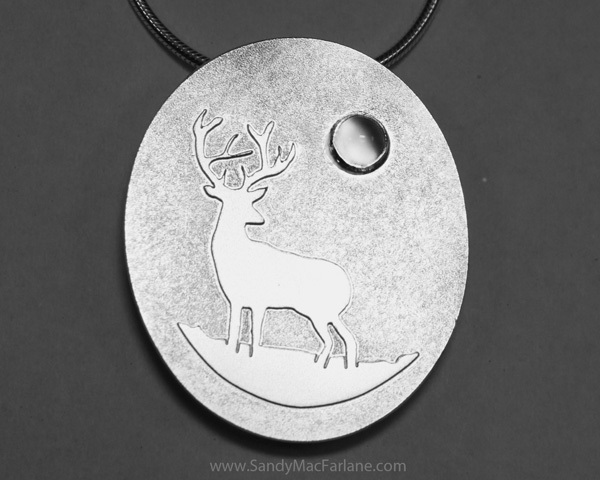 Deer in the moonlight - Sterling Silver & Moonstone. 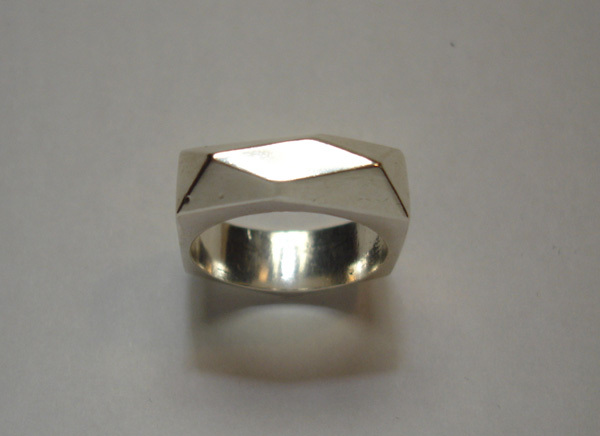 Angular ring, sterling silver; narrow between fingers with 'facets' on top and bottom of ring. 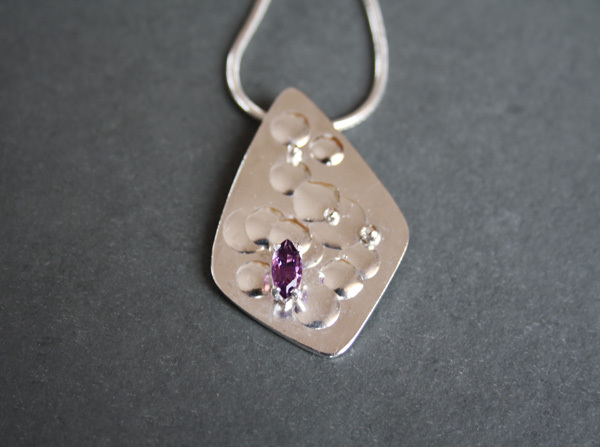 Bubble Pendant with facetted amethyst marquis stone, sterling silver. 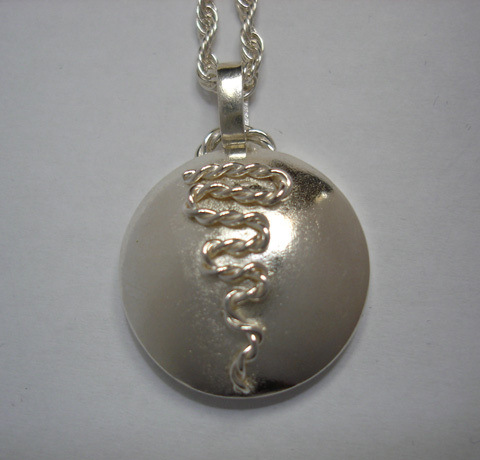 Serpentine rope on dome, sterling silver. 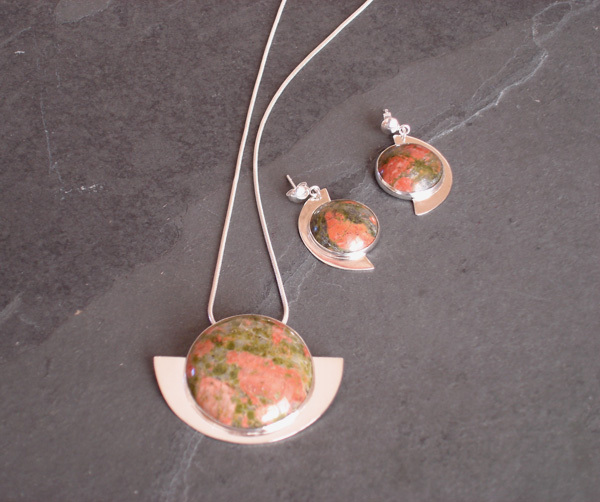 Unakite cabochons (mossy green & salmon pink) set in sterling silver crescents. 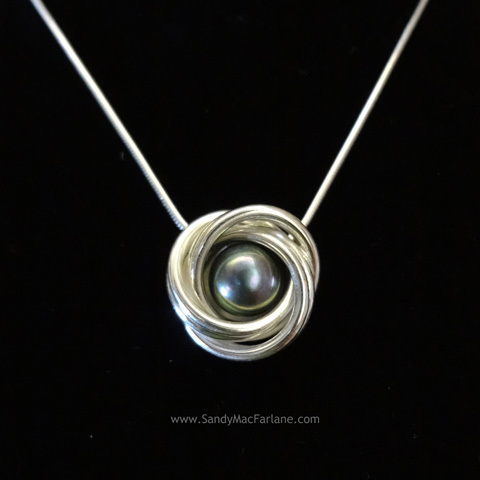 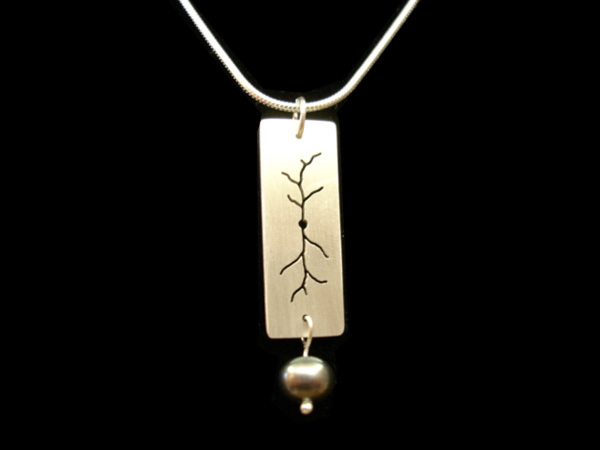 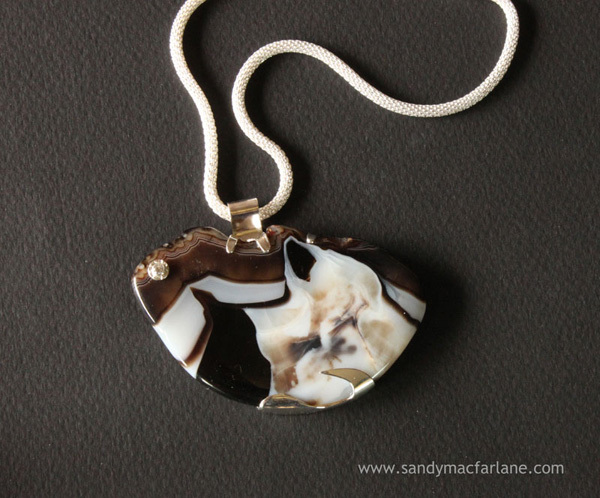 "Lightning" pendant with dark freshwater pearl. 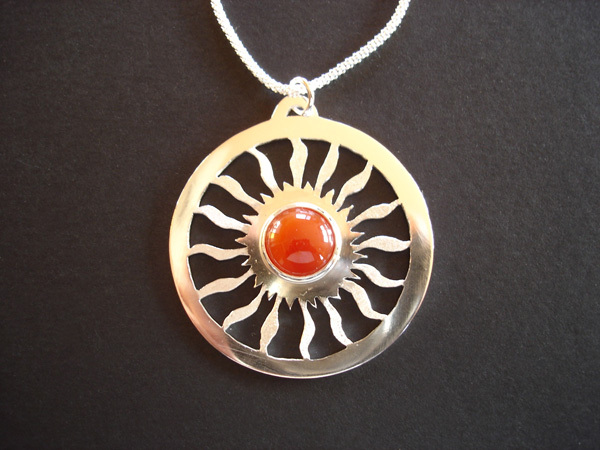 Sunwheel pendant, sterling silver with carnelian cabouchon. 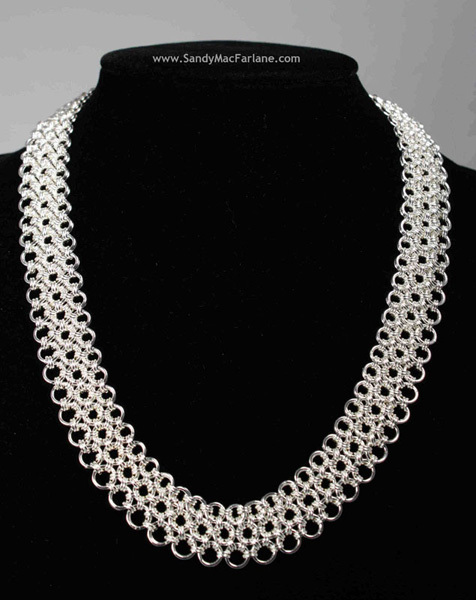 Sterling silver shield-shaped bubble pendant on sterling silver mesh chain. 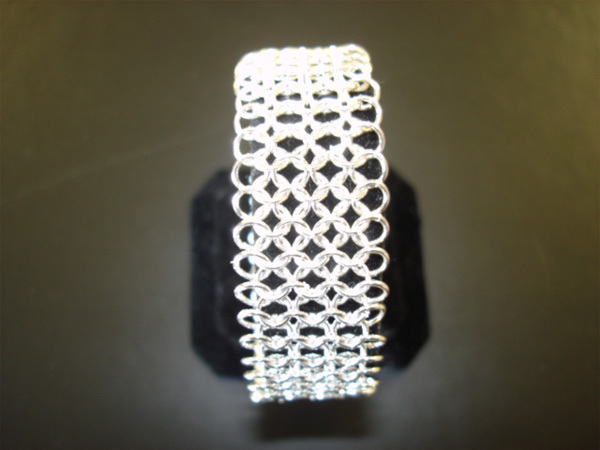 Sterling silver chainmail bracelet, 4/3 wide, with tube clasp. 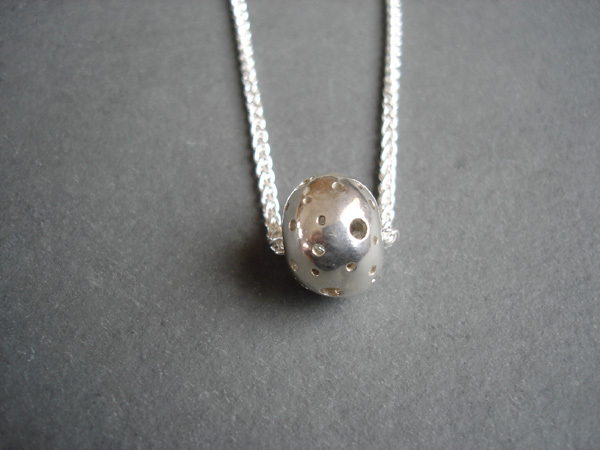 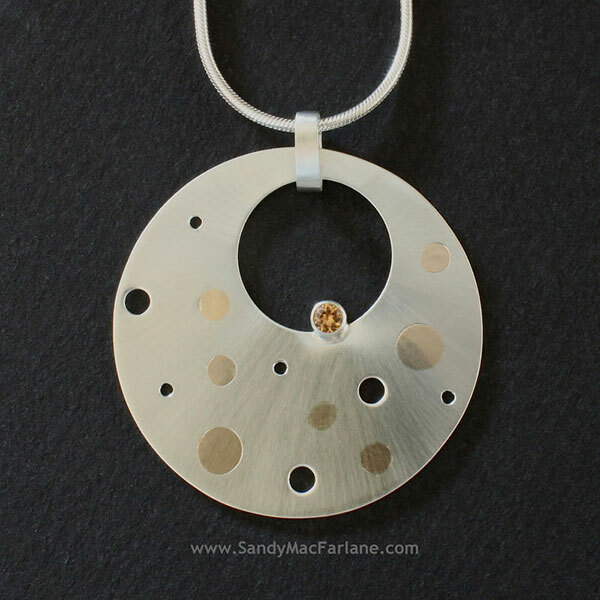 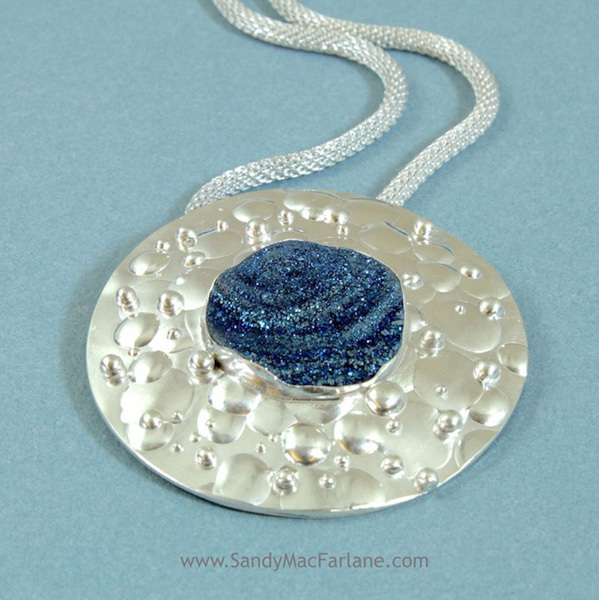 "Holey Ball" pendant, sterling silver on wheat chain. 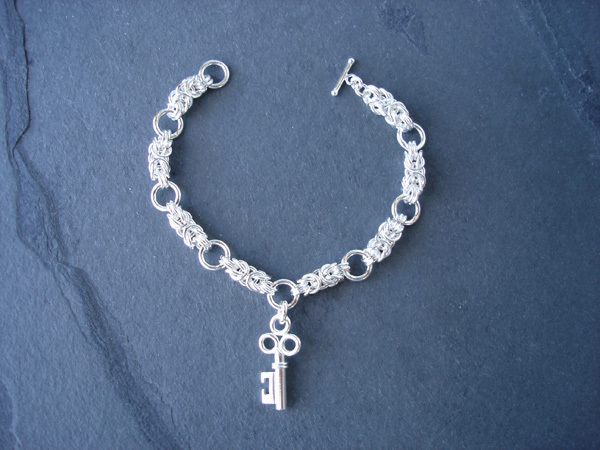 "Key to Success" charm and 'Combo' bracelet (byzantine and large links), sterling silver. 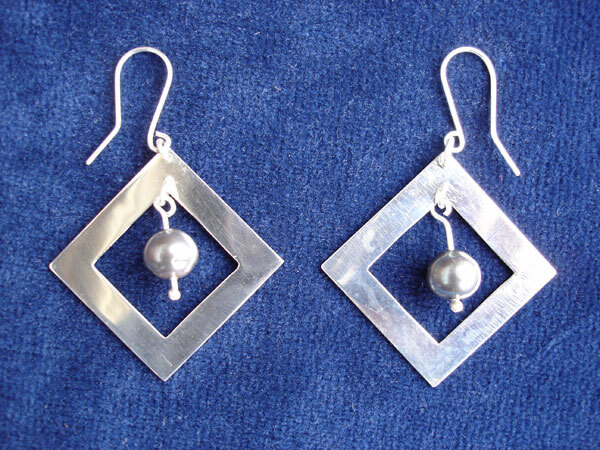 Square frame earrings with dark freshwater pearls. 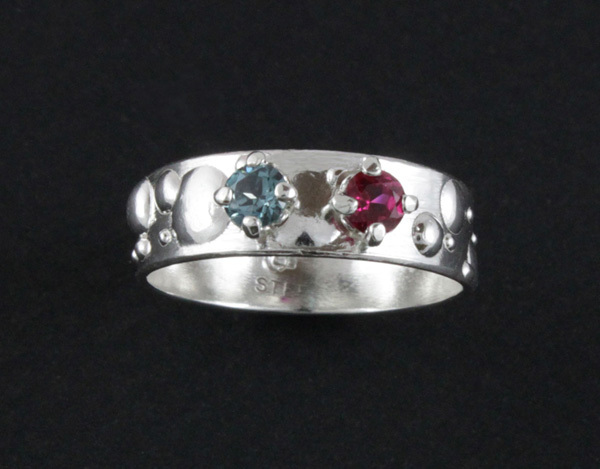 Facetted garnet oval gemstone set on sterling silver 'celestial' bubble ring. 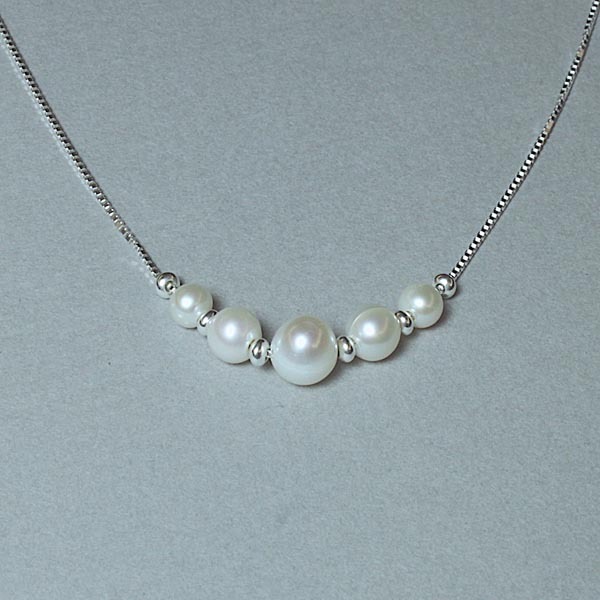 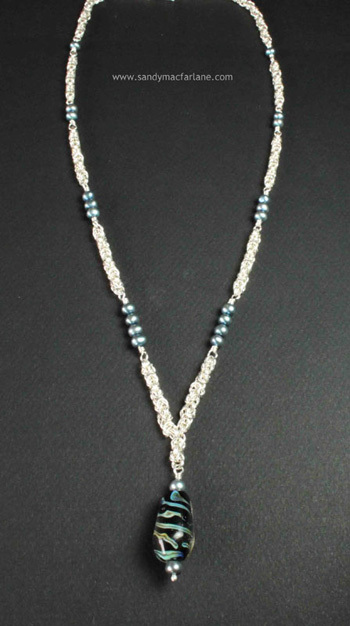 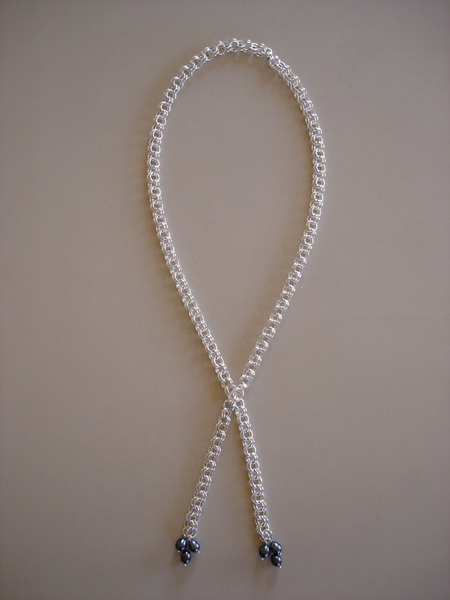 Sterling silver 2 in 2 chain with dark freshwater pearl clusters, 36" long with toggle clasp. 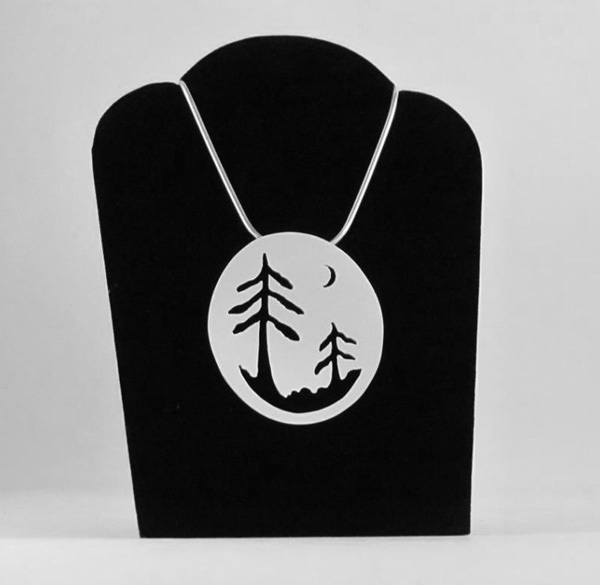 Pines and full moon "in the mist". 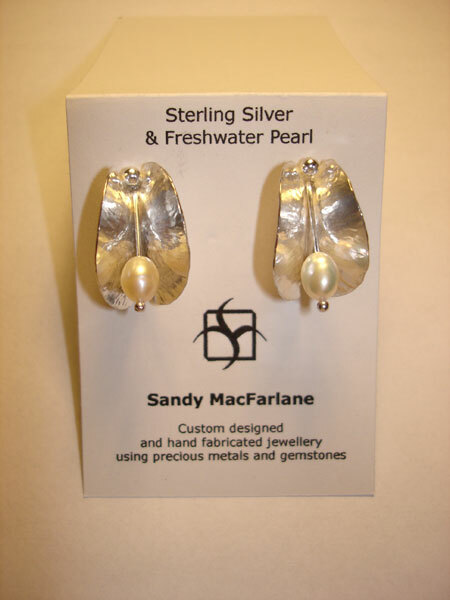 Sterling silver trees on textured sterling base and moonstone cabouchon. 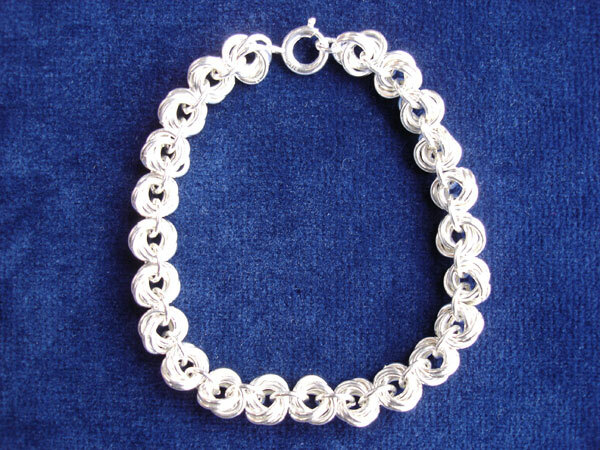 Double rosette bracelet, sterling silver. 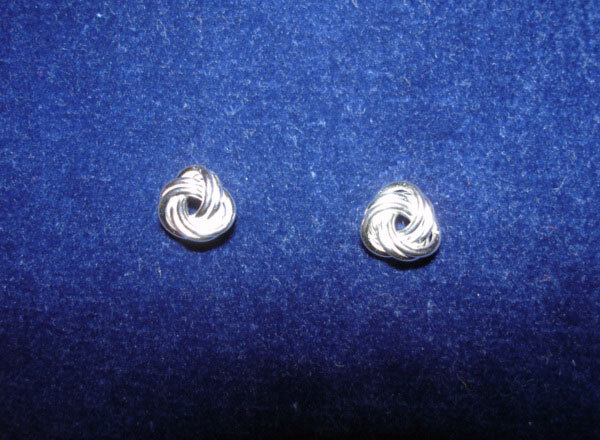 Double rosette earrings, sterling silver. 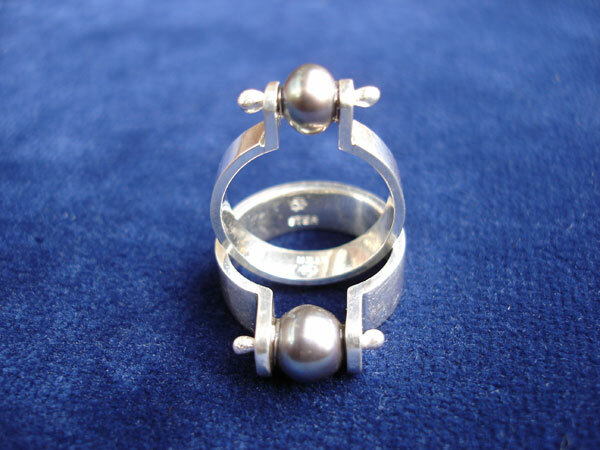 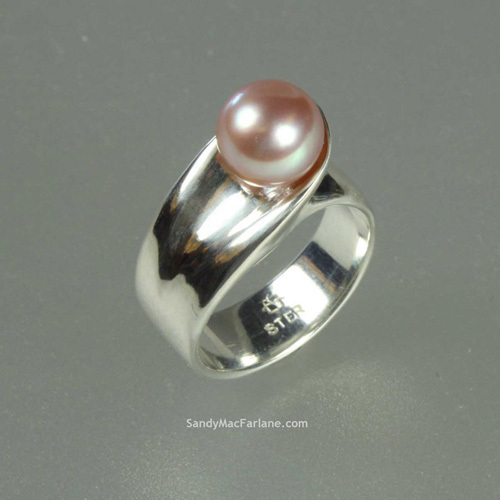 Pearl rings, sterling silver with dark freshwater pearls - small width (top) and large width (bottom). 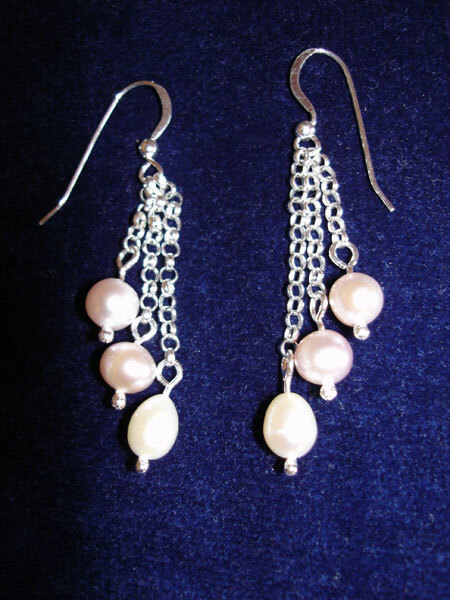 Pearl cascade earrings, sterling silver with pink freshwater pearls. 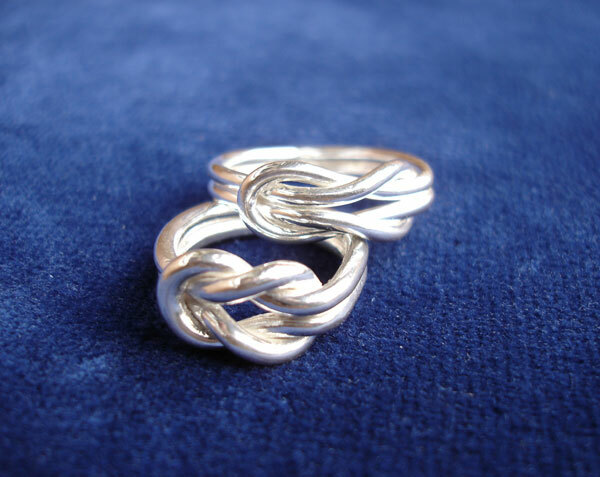 Endless Knot rings, sterling silver. 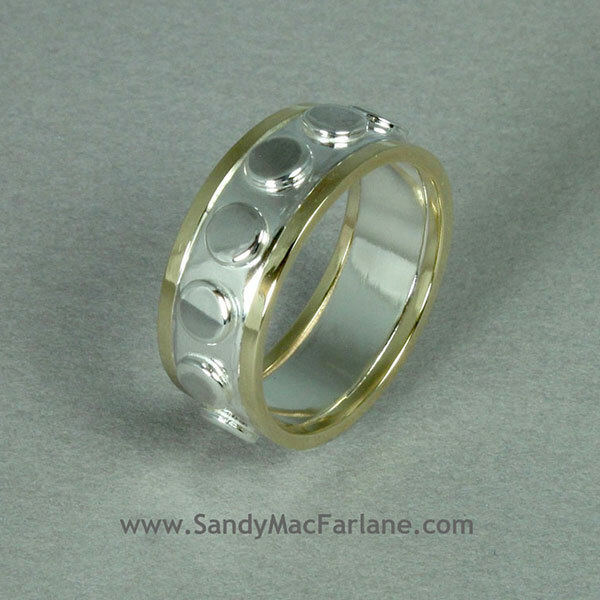 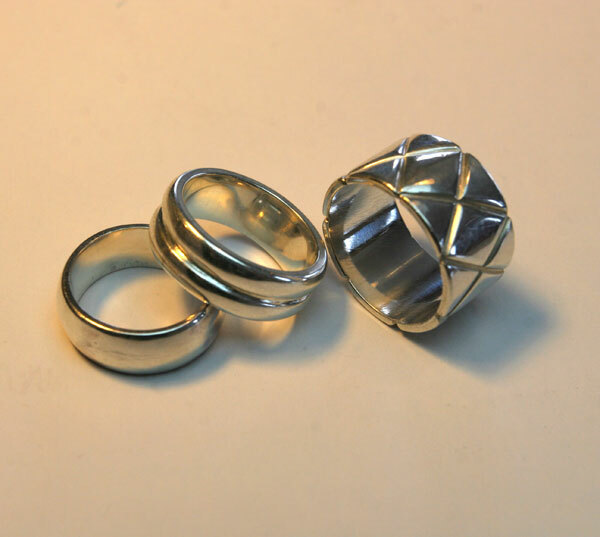 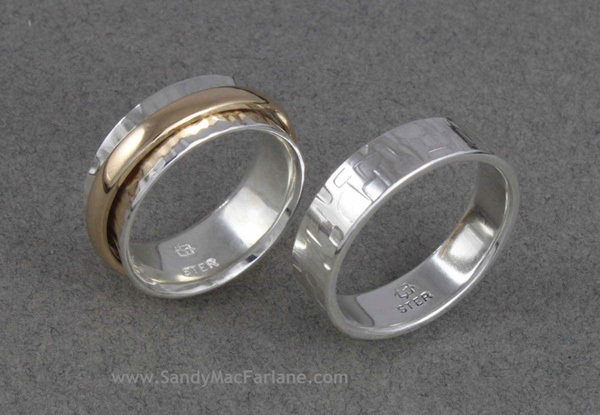 Wedding bands, hand-carved in sterling silver. 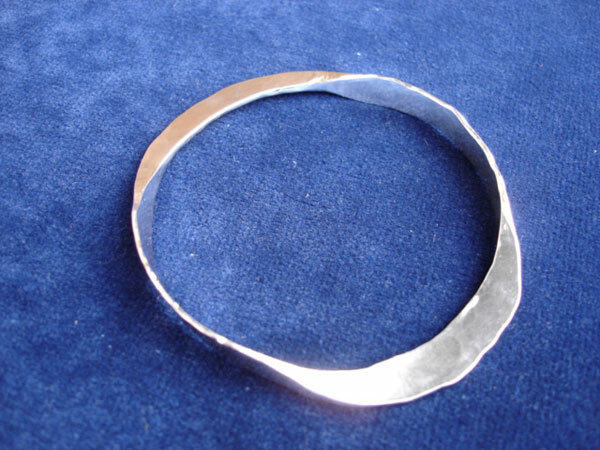 Bangle, hand-forged in sterling silver. 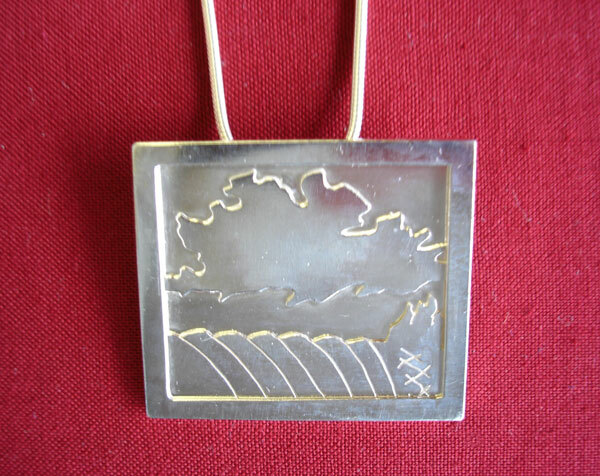 Fields & clouds pendant, sterling silver. 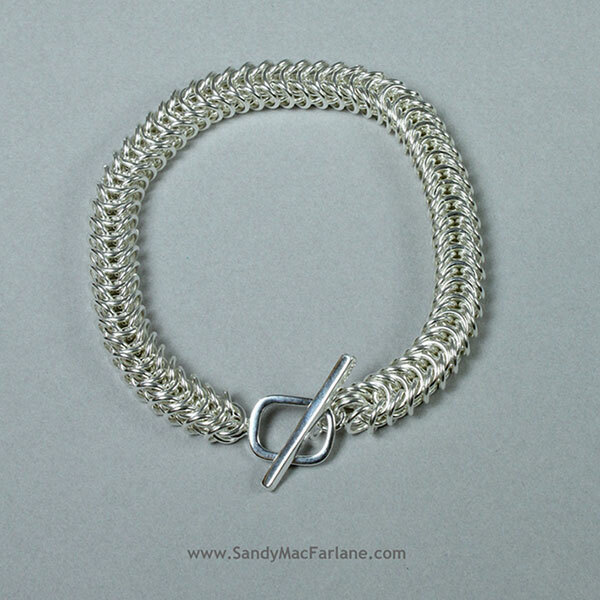 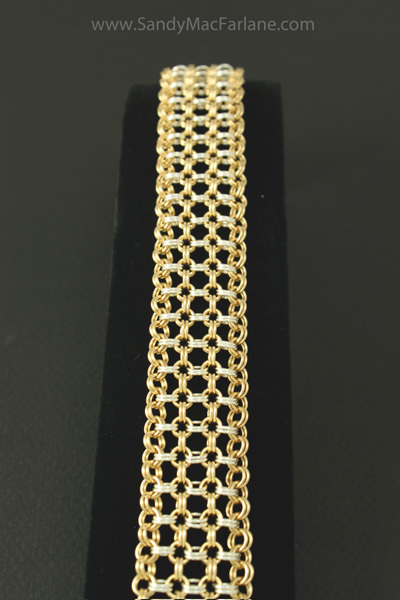 Chain mail bracelet, hand-fabricated in sterling silver with beaded edges. 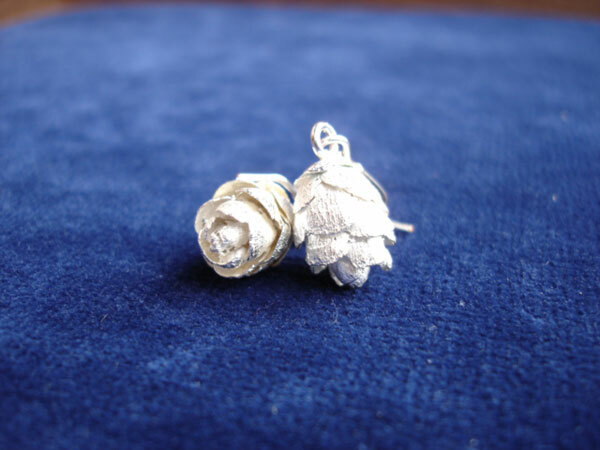 Pinecone earrings, cast in sterling silver. 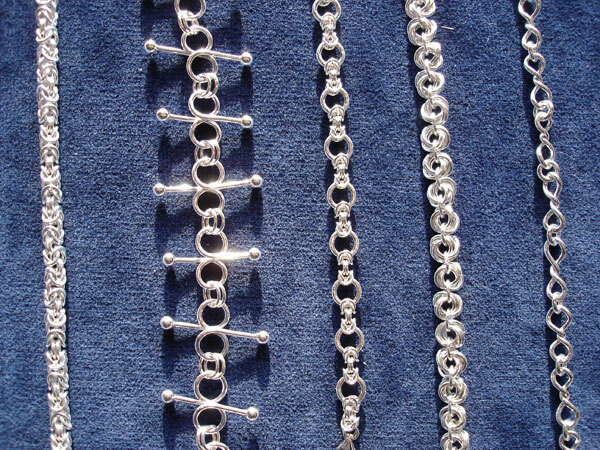 Hand fabricated chains in sterling silver: (L to R) Byzantine, "Jingle balls", Byzantine link combo, double rosette and double twist. 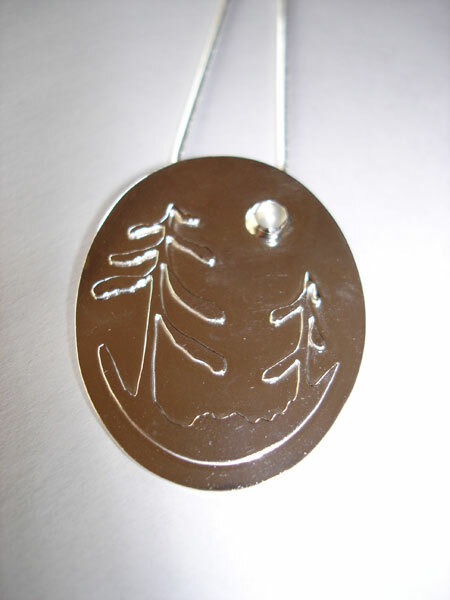 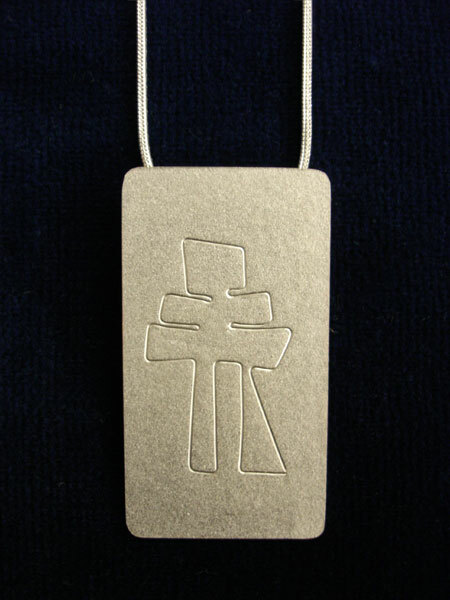 Inukshuk pendant, impression in sterling silver. 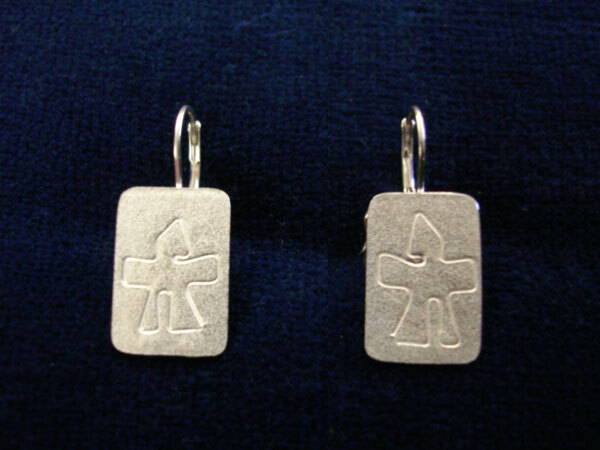 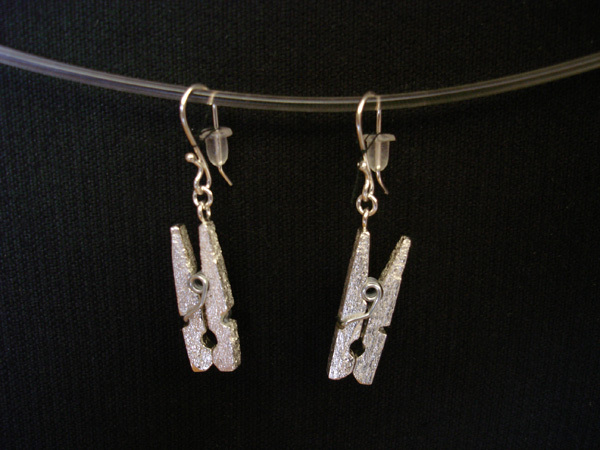 Inukshuk earrings, impression in sterling silver. 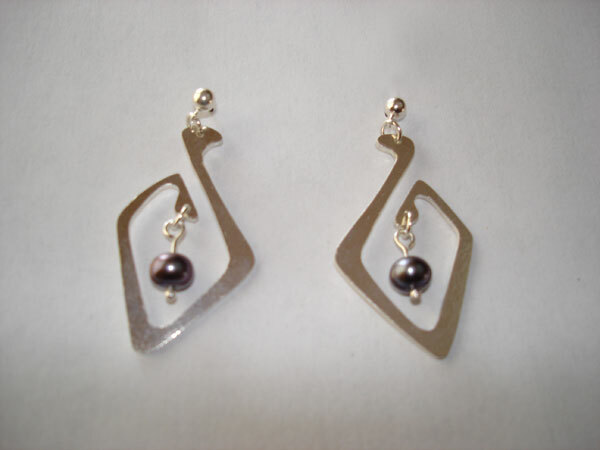 Swan earrings, sterling silver with dark freshwater pearls. 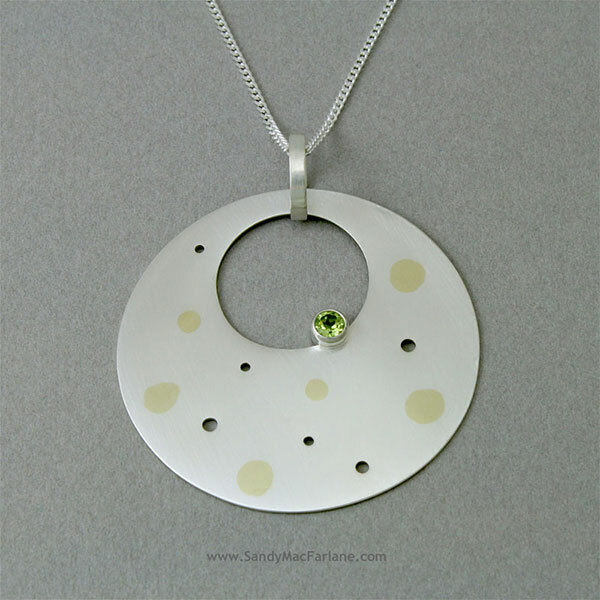 "Hole-y" ball pendants on neck rings, sterling silver. 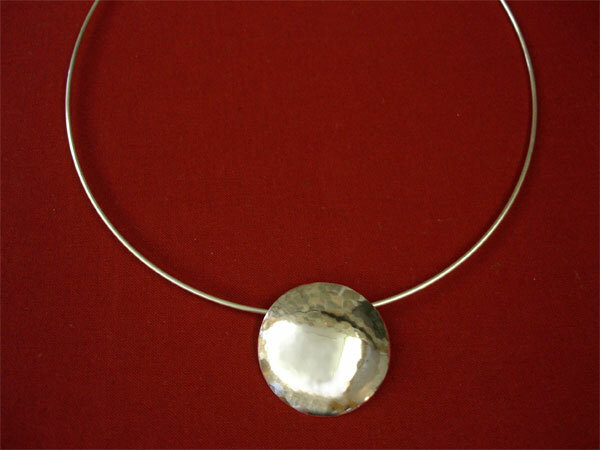 Forged dome on neck ring, sterling silver. 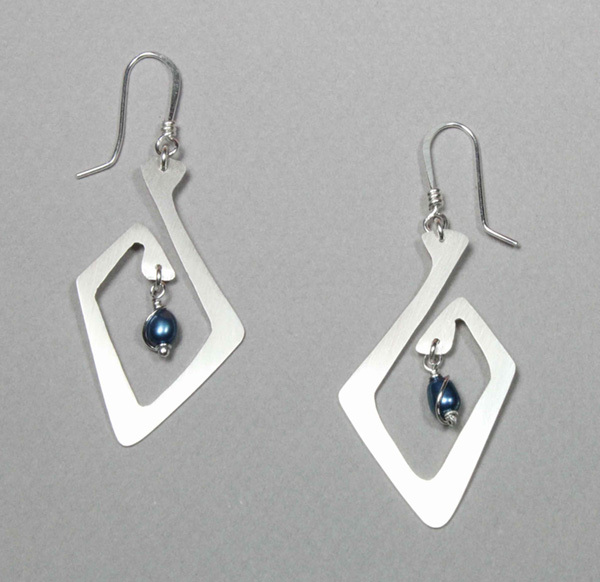 Lightning pendant & earrings, sterling silver and dark freshwater pearls. 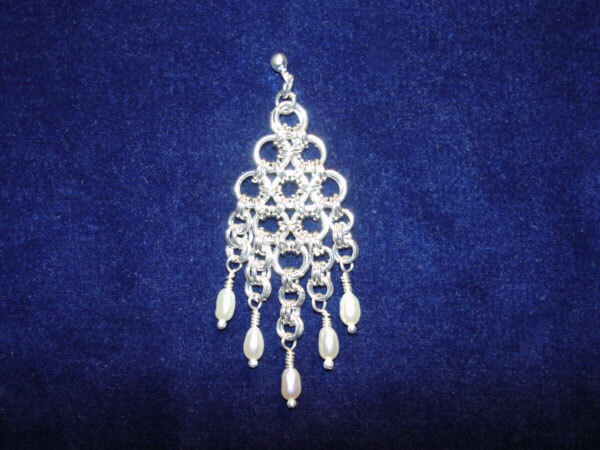 Diamond lace earrings, sterling silver with white freshwater pearls. 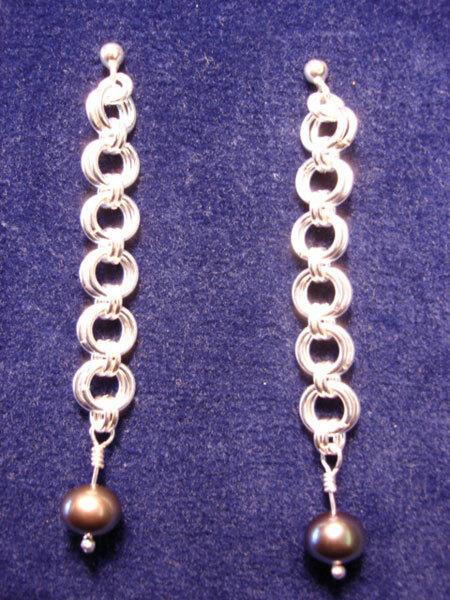 Double ring chain earrings, sterling silver and dark freshwater pearls. 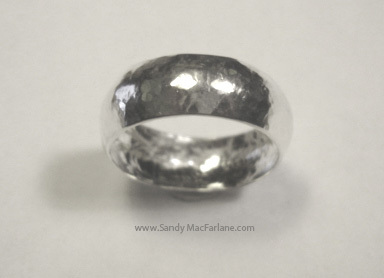 "Champagne bubble" rings in sterling silver. 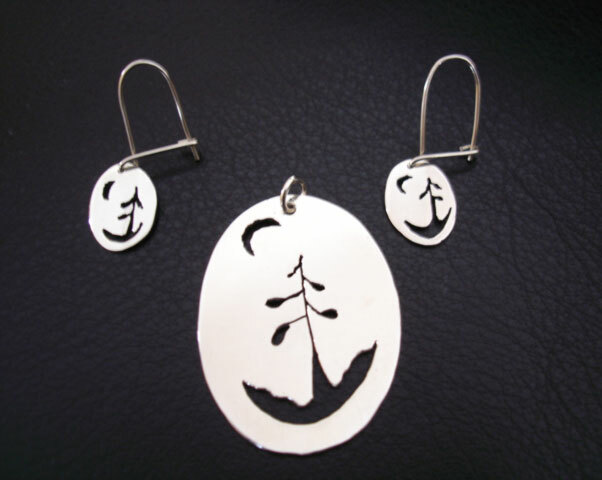 Pine tree and crescent moon silhouette pendant and earrings in sterling silver. 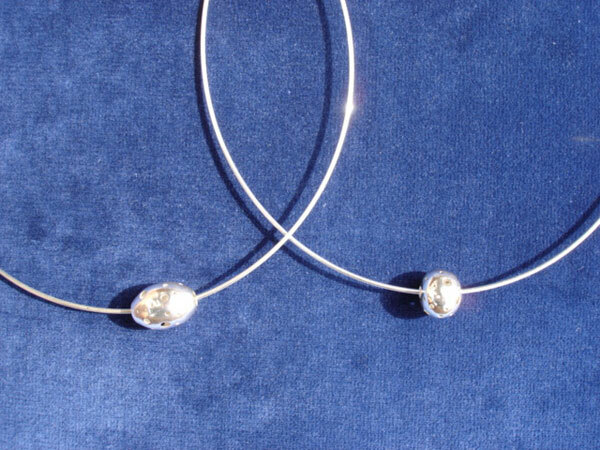 "Jingle balls" bracelet, hand-fabricated in sterling silver. 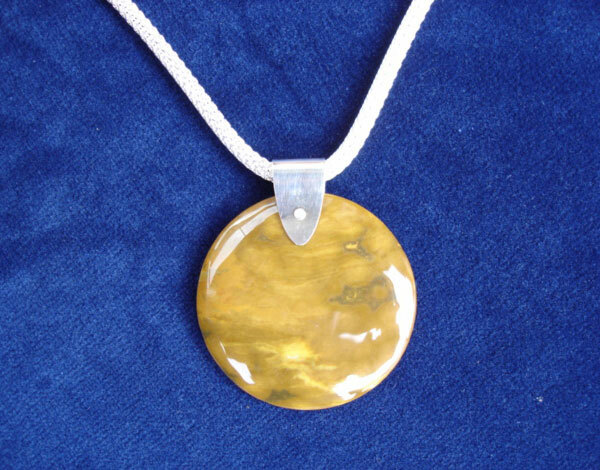 Yellow jasper stone with sterling silver bale and calza chain. 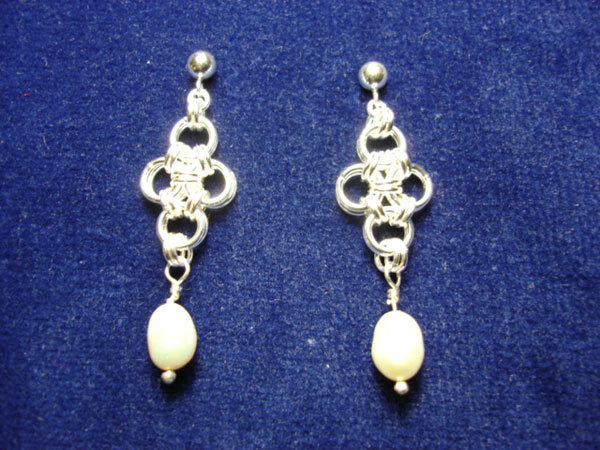 Japanese lace earring, sterling silver with freshwater pearls. 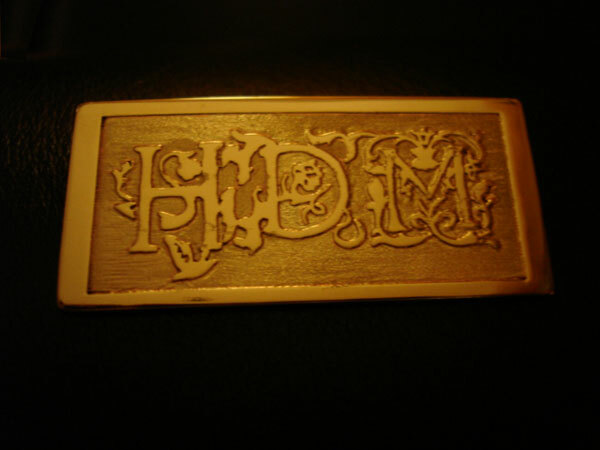 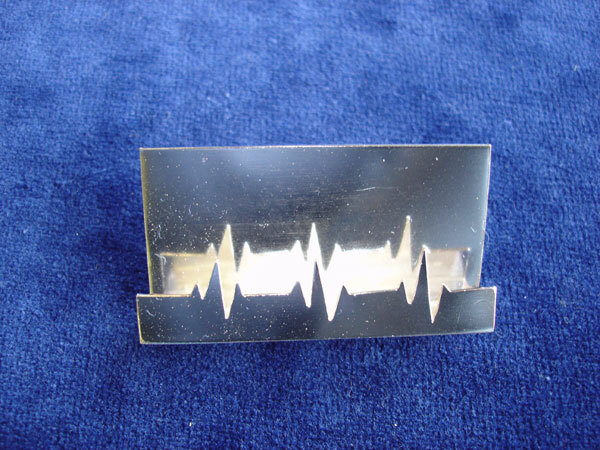 "Heartbeat" business card holder in sterling silver. 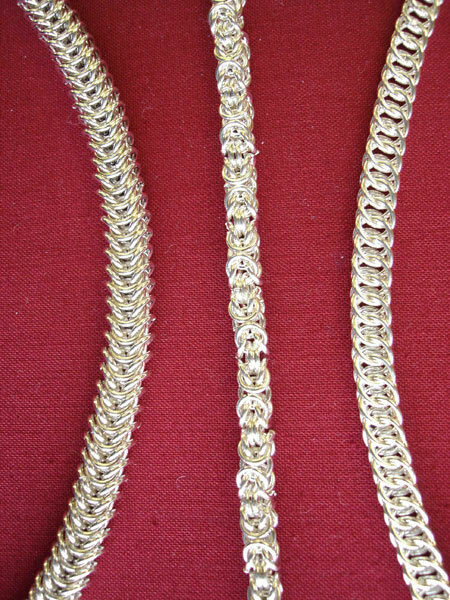 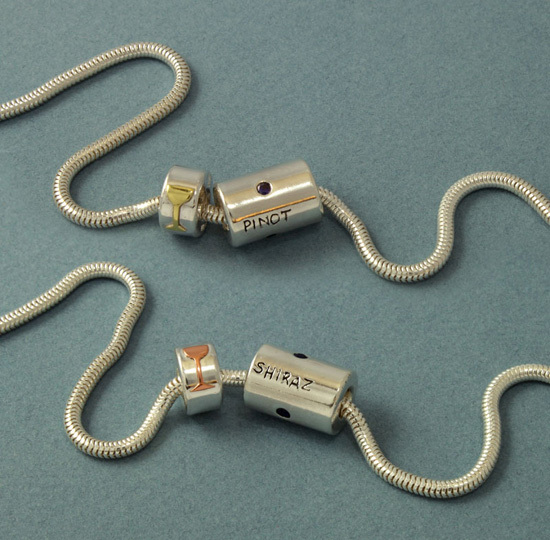 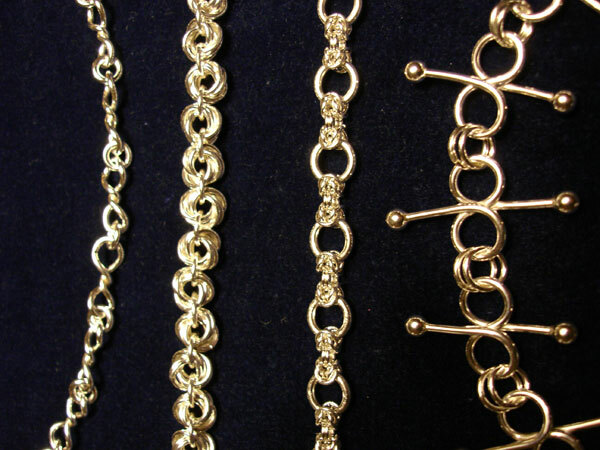 Hand-fabricated chains in sterling silver (L to R): Queen's chain, Byzantine chain, box-link (or half-persian 4-in-1). 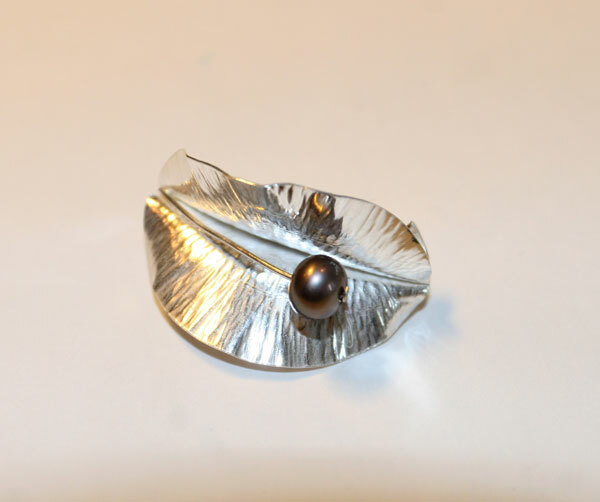 Forged crescent pin, sterling silver with dark freshwater pearl. 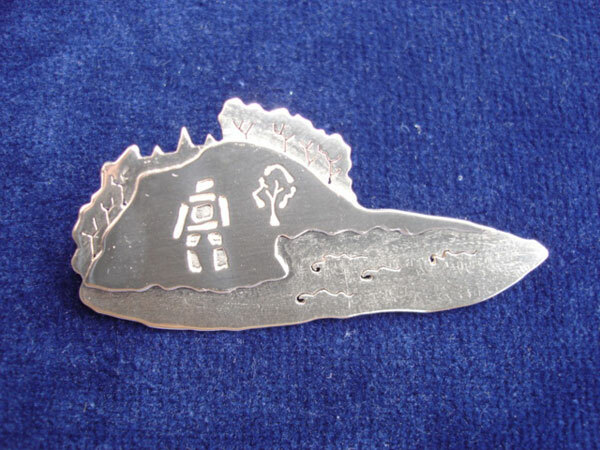 Inukshuk, tree and lake pin, sterling silver. 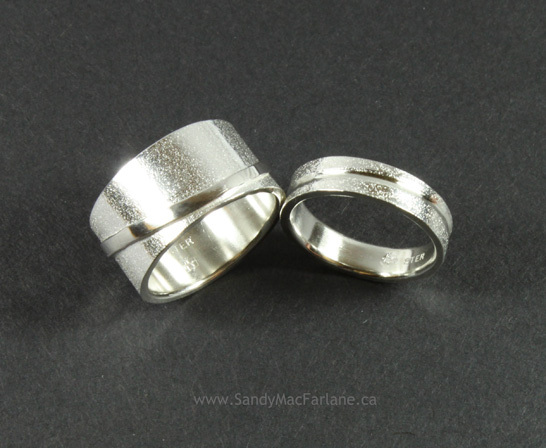 Rings, hand-carved in sterling silver. 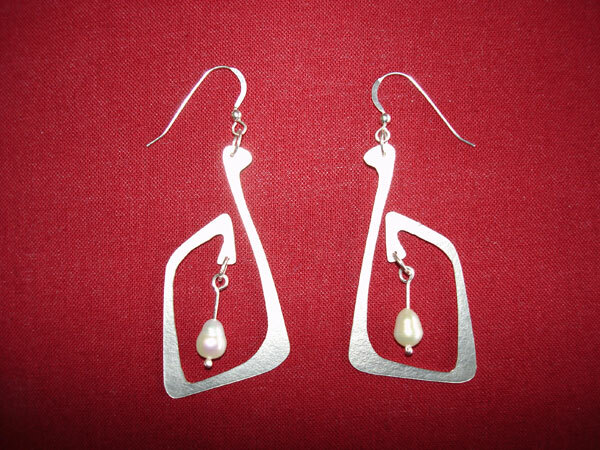 Swan earrings, sterling silver with freshwater pearls. 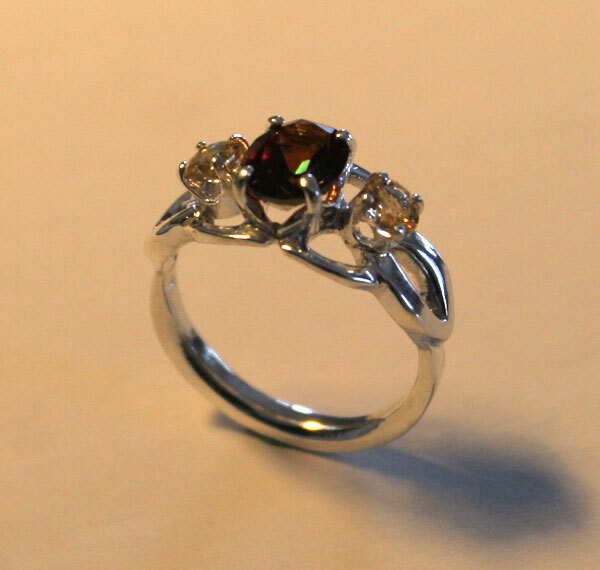 "Autumn Colours" ring, hand-carved in sterling silver with autumn topaz centre stone and golden topaz accent stones. 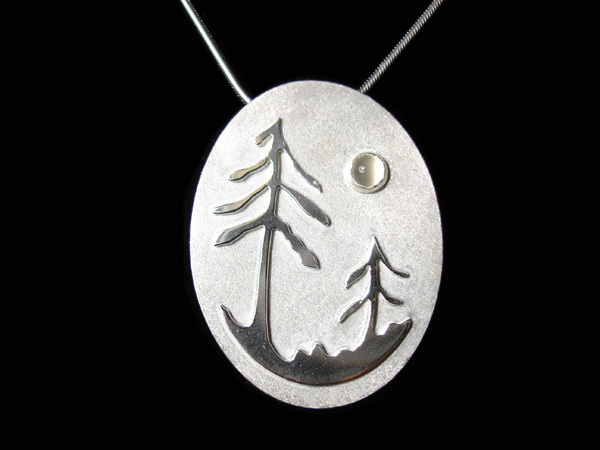 Pines and the Moon Pendant, sterling silver with moonstone cabouchon. 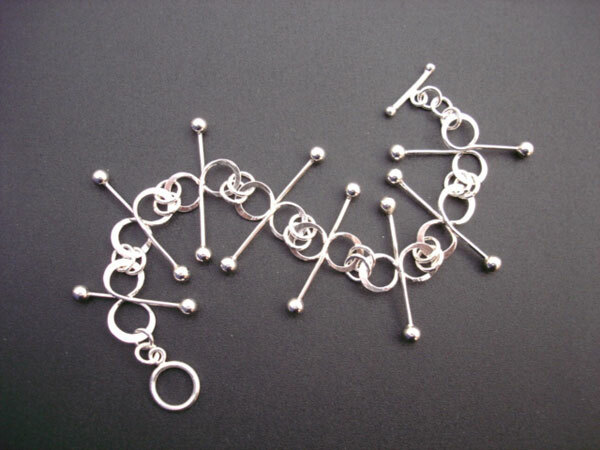 Hand fabricated chains in sterling silver: (L to R) Double twist, double rosette, Byzantine link combo, and "Jingle balls". 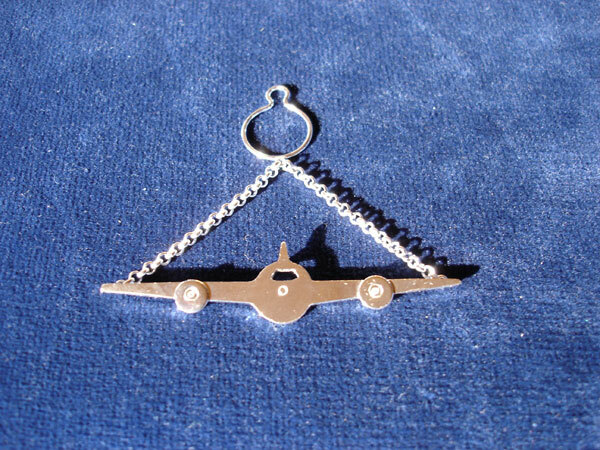 Airplane tie holder with button loop, hand-fabricated in sterling silver. 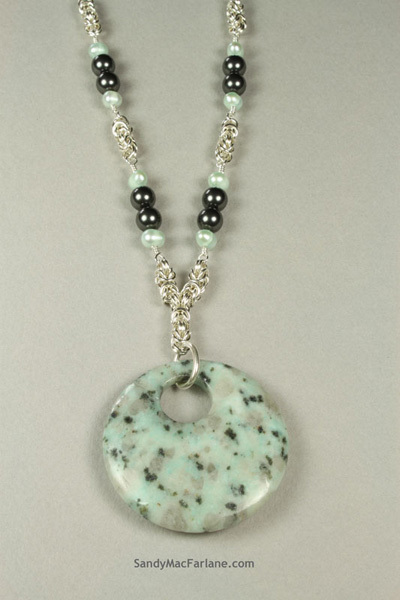 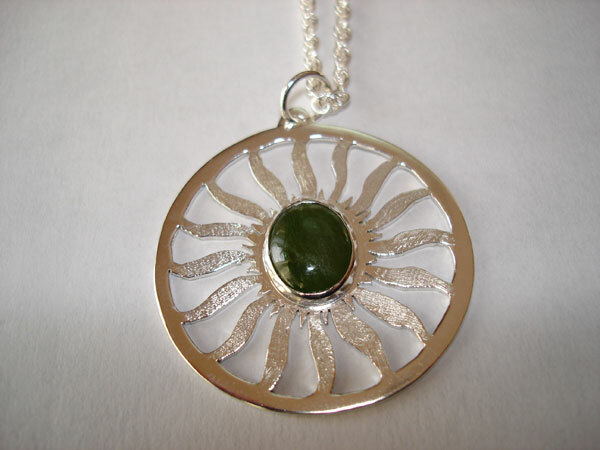 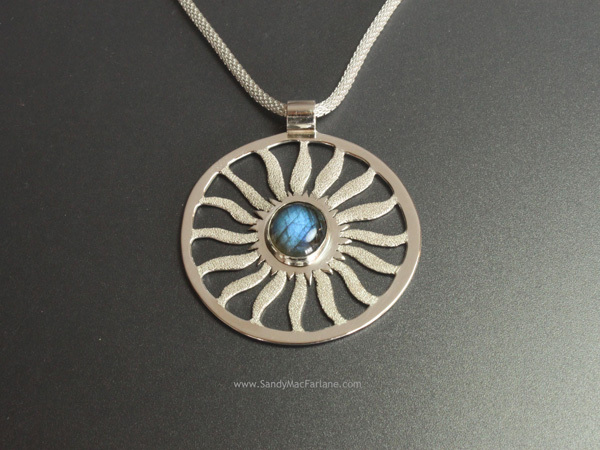 Sunwheel pendant, sterling silver with jade cabouchon. 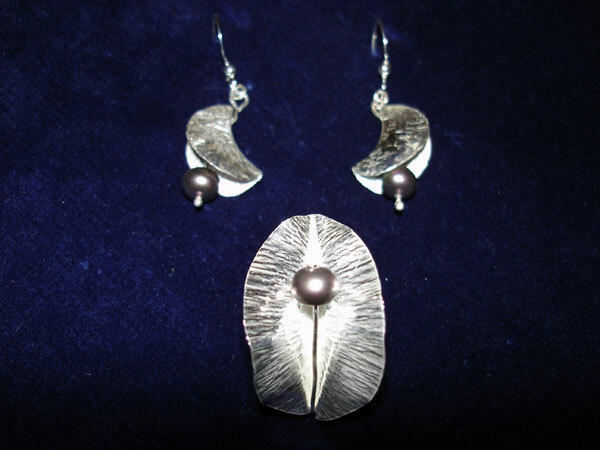 Forged crescent pin and earrings, sterling silver with dark freshwater pearls. 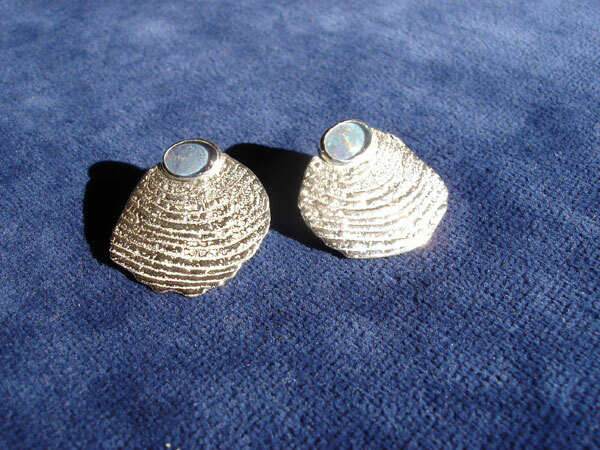 Wood growth pattern cast in sterling silver (earrings) with opal triplet cabouchons. 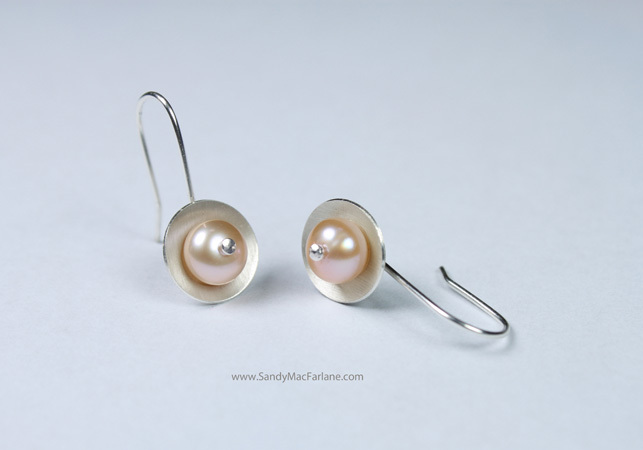 Forged crescent earrings, sterling silver with white freshwater pearls. 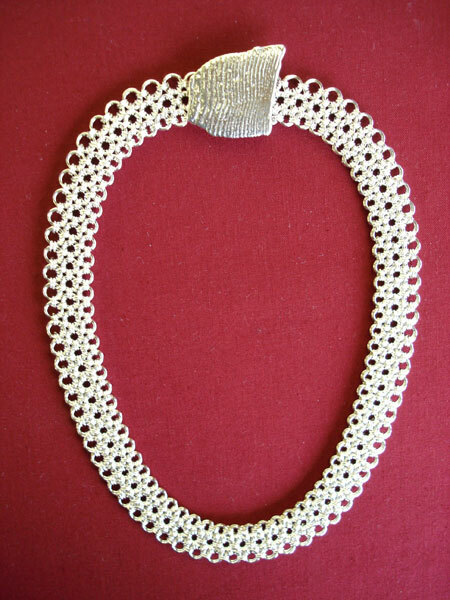 Japanese lace necklace, hand-fabricated in sterling silver with cast sterling silver clasp.